Soothing Sista knows how to rock a look. Most often found on the streets of San Francisco, she is taking the YouTube world by storm with her skincare, makeup, and fashion tutorials. Showcasing looks for the edgier goddess in you, Soothing Sista, isn’t afraid to take a risk. She’s hand-picked hottest skincare and makeup products of the month straight from Korea, which we’re sure you’ll love! I picked this box up in a restock and I was glad it came up because it was on my wish list. 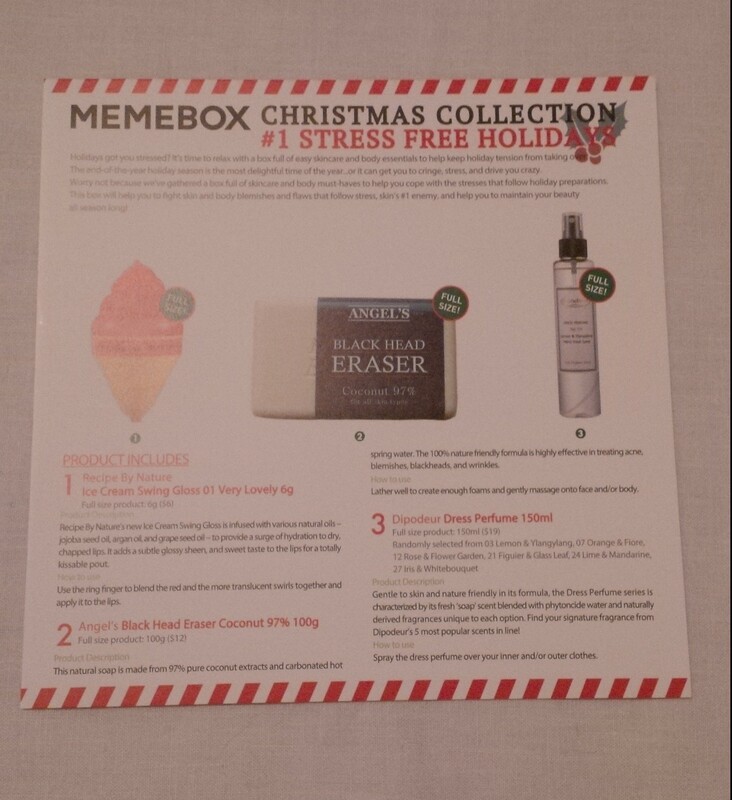 When this box was originally released, I knew what was inside it and I considered purchasing it but that was before I was really on the Memebox bandwagon. Afterwards though, I was reading blog posts about it and regretted not buying it! I was happy to be able to get my hands on it. No carbomer, no silicon, no artificial ingredients, and no chemical preservatives whatsoever. 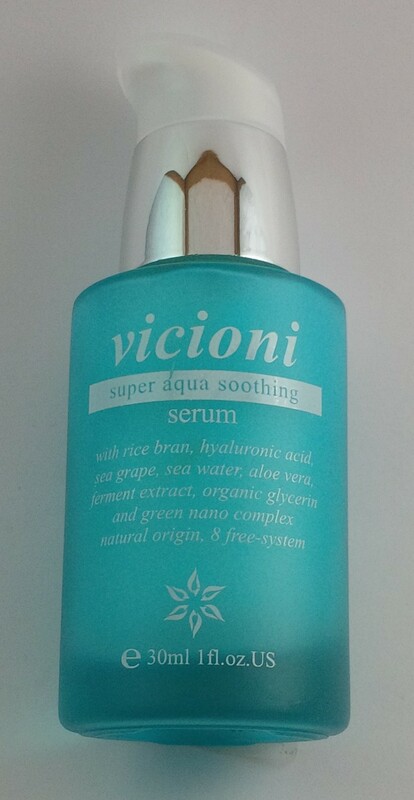 It’s true that Vicioni Super Aqua Soothing Serum may smell less than pleasant and not as quick to absorb as that of other brands. However, this is because Vicioni takes great care in selecting only skin beneficial, non-chemical ingredients for its 100% natural formula. It contains high concentrates of ‘caulerpa racemosa’ (also known as ‘sea grape and rich in sea minerals, vitamins, and nutrients), rice bran, hyaluronic acid, mushroom ferments, aloe vera, etc. The ocean will deeply replenish, brighten up, and smoothen dry, dulled complexion. This sounds wonderful! I don’t have a serum on the go at the moment so I will definitely be putting this to good use. I am a little concerned about the fact that they say it smells less than pleasant considering it will be all over my face. I haven’t used it yet so I’m not sure how it actually smells but we will find out soon enough. Not related to how the product works, I love the packaging of this serum. I think it’s absolutely beautiful! I look forward to trying this out. 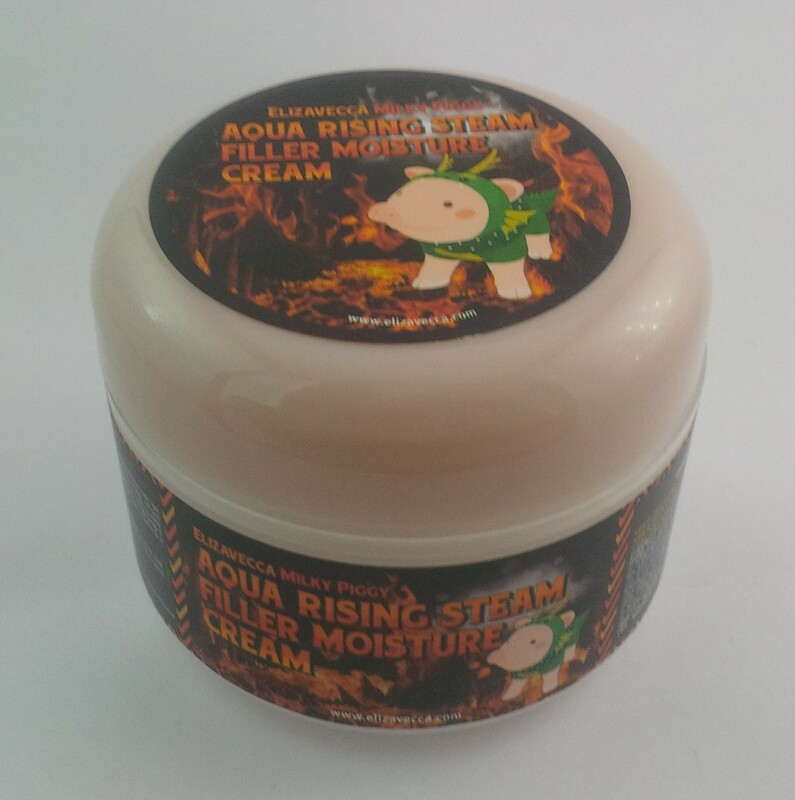 A self-heating steam balm that opens up clogged pores by warming the skin with its blend of sulfur hot spring water and heating agent the more you massage it onto face. Then 3 kinds of scrubs – white salt, charcoal powders, and egg yolk – work to thoroughly remove all blackheads, whiteheads, and dead skin cells piled up inside enlarged pores. Rich in calcium, various minerals, acetic acid, amino acid, and vitamins, it also delivers deep nourishment, control excess sebum, and prevent skin dehydration. How to Use: Apply the steam balm over nose area. (Make sure to towel-dry after cleansing) Gently massage for 3-5 minutes and rinse off with lukewarm water when the translucent oil balm turns opaque. Recommended to be used once or twice a week. 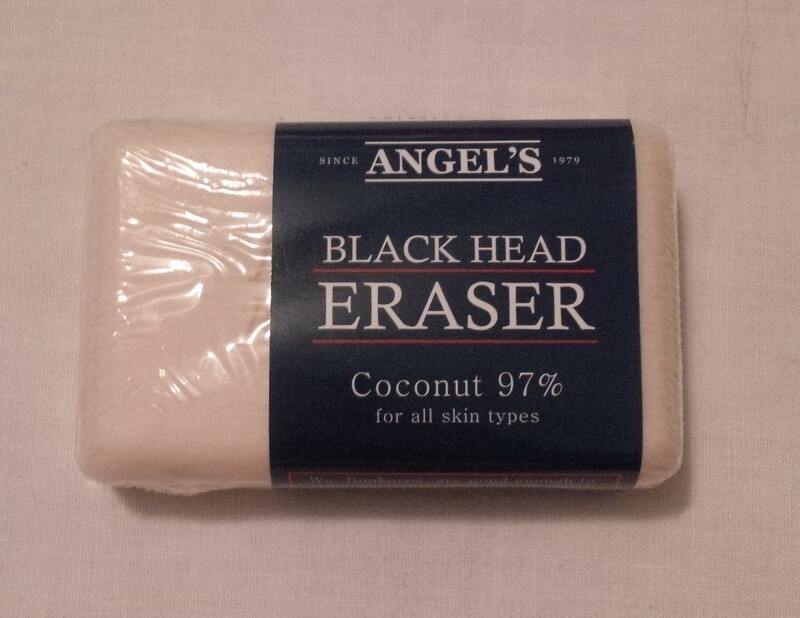 I am definitely drawn to this because I love clearing out my pores. I’m aware that this is a super weird thing to say but I said it so it’s out there now. I’m not quite sure how this works, it is more like a cream or like a grommage kind of peeling action but I am excited to try it out! I have such a hard time deciding every day which types of masks to use and this will just be added to the pile of indecision. 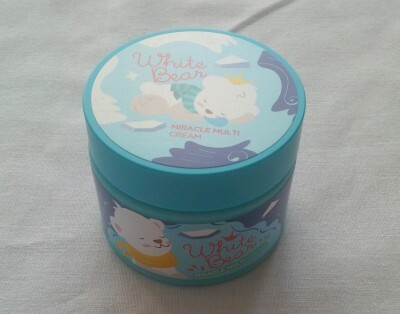 This Miracle Capsule Cream is an anti-wrinkle moisturizer enriched with glacier water and nourishing capsules containing 24 kinds of oil complex. Deliver instant moisture surge and supple firmness to dry, tired face as if letting the skin take a rejuvenating winter sleep! It will take care of dry patches and protect from external damages by locking in moisture within skin. I haven’t opened this because I still have creams on the go so I don’t want to expose this to the air just yet. For whatever reason, the inclusion of glacial water just makes it sound so nice and refreshing. My skin is kind of normal to dry so this will be really nice! 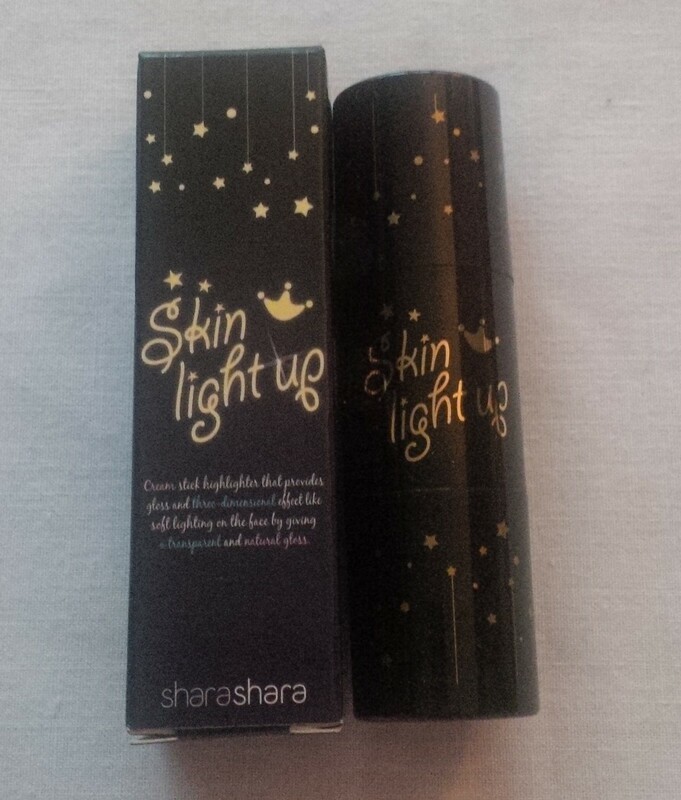 I have tried the Shara Shara balm and really like it so I’m sure I will like this too! Quickly minimize the appearance of pores and fine lines and help makeup adhere better for a long-lasting finish. The silky, lightweight formula can be worn under makeup to fill in uneven skin texture and visible pores, creating a smoother-than-smooth canvas and mattifying excessive oil and shine. Its gently formula consists of both sebum control powder and moisturizing essence component, thus is works to control excess sebum while maintaining a healthy moisture balance at the same time. 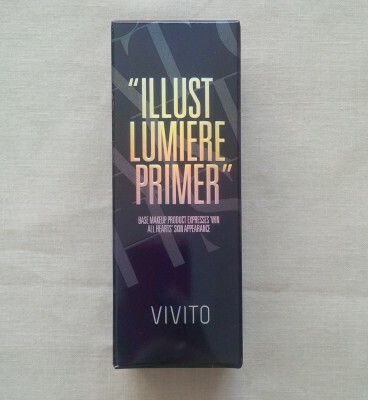 I have yet to find my holy grail primer and I am hoping that this might be it! My problem is that I have large pores and so foundations and BB creams settle right into my pores and it just looks awful. Other people may not notice it unless they are right up close but it is on my mind! 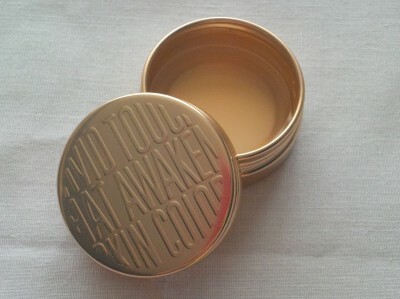 I would love to have this actually settle into my pores so my makeup can sit smoothly on top. Maybe this is just wishful thinking but we will see how it measures up! A facial mask that clarifies skin pores and rejuvenates dull skin with volcanic scoria clay from Jeju Island containing rare minerals. 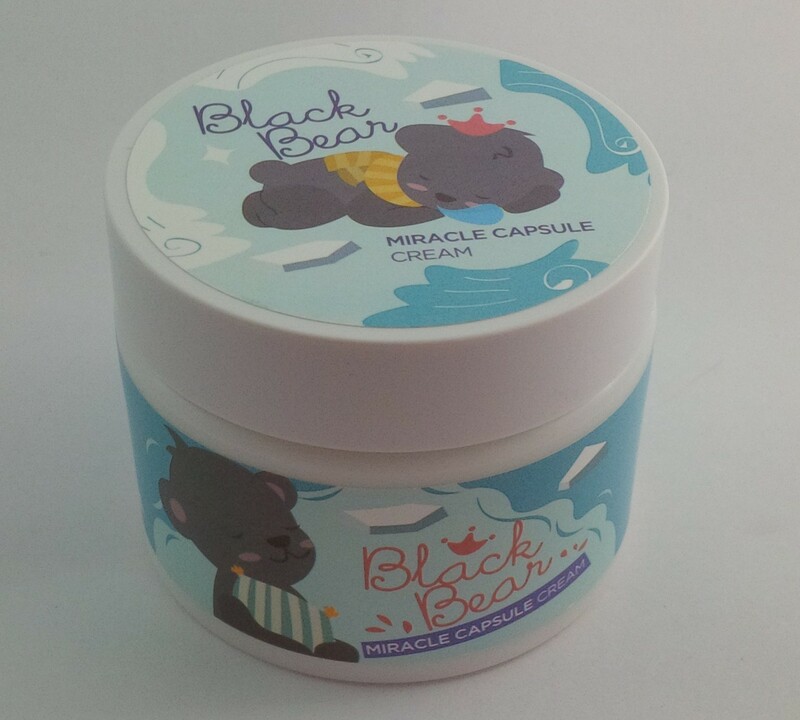 It’s also formulated with charcoal powder, papaya extracts, grapefruit extracts, walnut shell powder, and centella asiatica extracts to detoxify and revitalize the skin. How to Use: Wash your face and remove makeup and any environmental toxins. Gently unfold mask and place on your face, adjust the eyes, nose and mouth opening. Relax for 15-20 minutes with the mask in place. 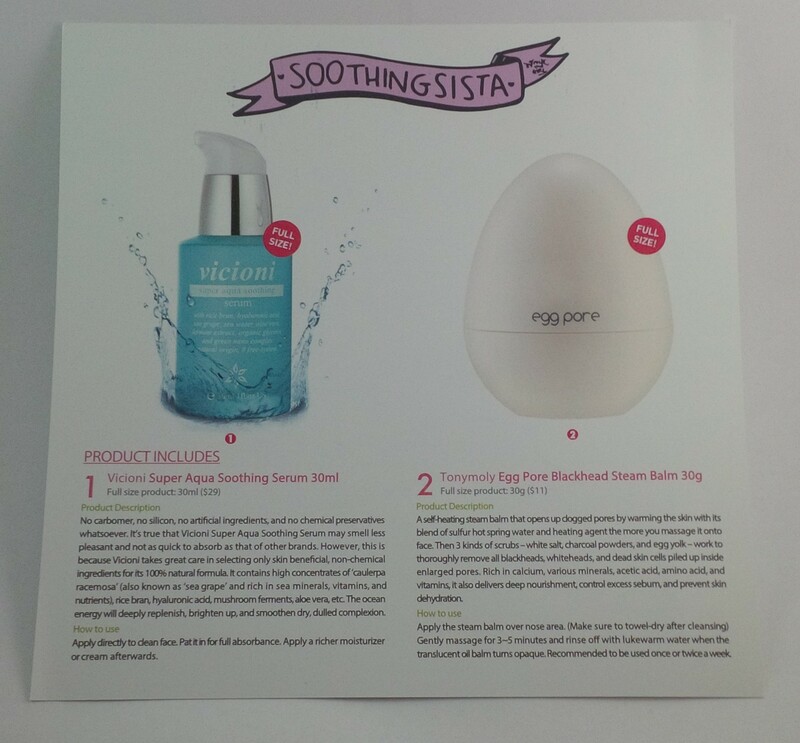 No need to rinse, massage remaining product into your face. 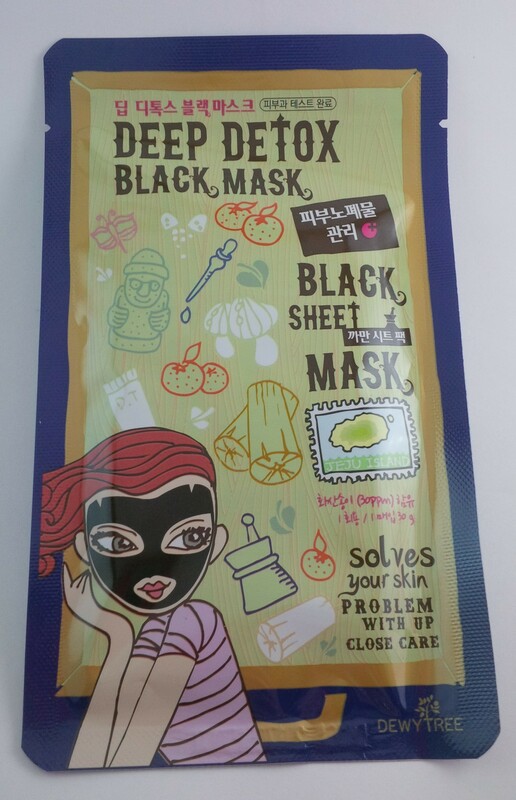 Ever since I have been involved with Memebox, I have been intrigued by these black masks. They have such nice sounding ingredients in them and people seem to really enjoy using them. I haven’t tried this yet but I do know they look absolutely horrific when they are on your face since the sheet mask itself is black. I find it pretty funny but if you are walking around your house with it on, you may scare your family. A 3-effect matte lipstick that smoothly glides on with a creamy texture, steins lips with a highly pigmented, radiant colour in just a single swipe, and leaves lips velvety soft and super matte without being dry and flaky. I am obsessed with this lipstick. There were 5 possible options: RD01 Sour Red, RD02 Red Sun, RD03 Red Ribbon, PP01 Raspberry Purple, PP02 Orchid Purple. I was kind of hoping for the Raspberry Purple but I got Red Sun. I was a little disappointed at first but after wearing this, I love it! This is a pink toned red and it wears so nicely! It definitely does not feel drying and the colour looks beautiful. I have already been looking online to see if I can get other colours at a decent price. If you know of anywhere, let me know in the comments! 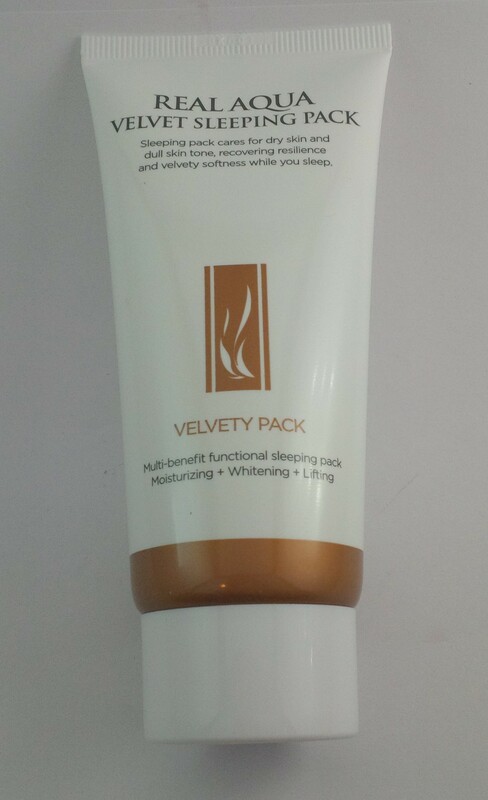 A nourishing sleeping facial pack formulated with snail mucus extracts, bird nest extracts, aloe vera leaf extracts, orange zests, Japanese prickly ash berries, pasque flower extracts, usnea extracts, and cypress water. Yellow vitamin capsules will absorb deep into skin to replenish, firm up and balance out uneven skin tone. I have quite the collection of sleeping packs. At the rate I actually use them, I may never go through all of the ones that I have stashed away. 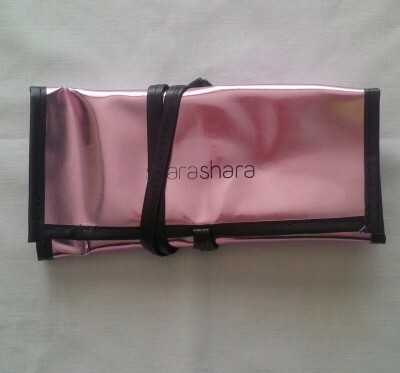 The packaging of this sleeping pack is quite nice, I definitely wouldn’t mind having it sitting on my vanity. 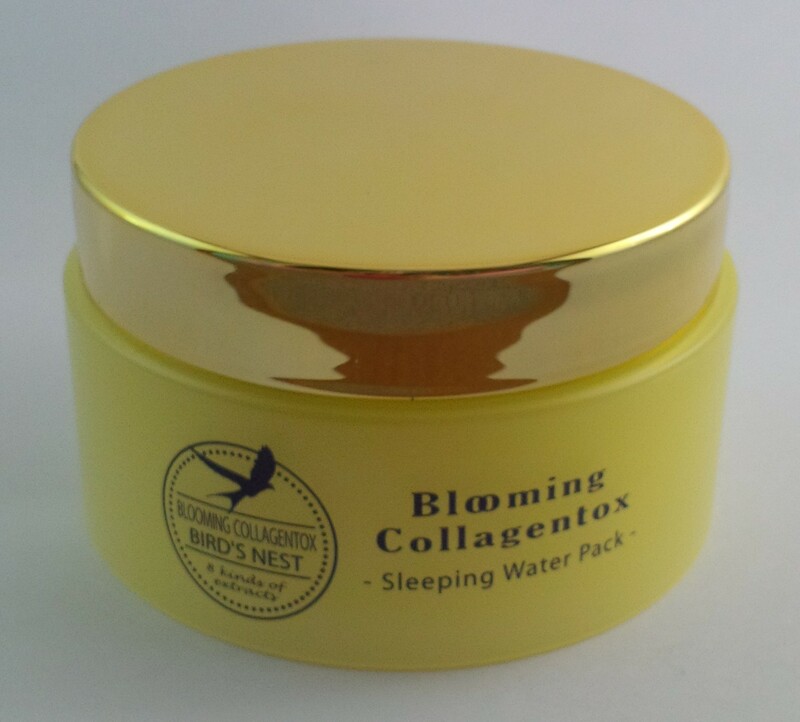 There are so many really interesting ingredients in this one, namely bird nest extracts. What does that even mean? Very interesting indeed. I look forward to trying this one! I am so happy that I was able to get my hands on this box! It sold out really quickly during the restock and some people were refunded for theirs so I am glad that I was one of the lucky ones who got it. I paid $21 for this box plus $6.99 for shipping and the retail value for the products is $120. This is definitely one of the best boxes that I have purchased!! When skin doesn’t look as good as you want it to, wish upon a mask for blissful skin happiness! You can do the A to Z of skin care perfect skin, but one really good facial mask can do all that, in just 10 minutes! When skin gets flushed, cracked, or looks not-so-good, these masks do a blockbuster job of transforming dull, dry, and flakey skin into some sort of smooth radiant miracle. Try our top mask picks, brimming with essential vitamins, minerals, and antioxidants, for an extraordinary skin makeover! I picked this box up in a restock because I was on the prowl for any mask boxes that became available. 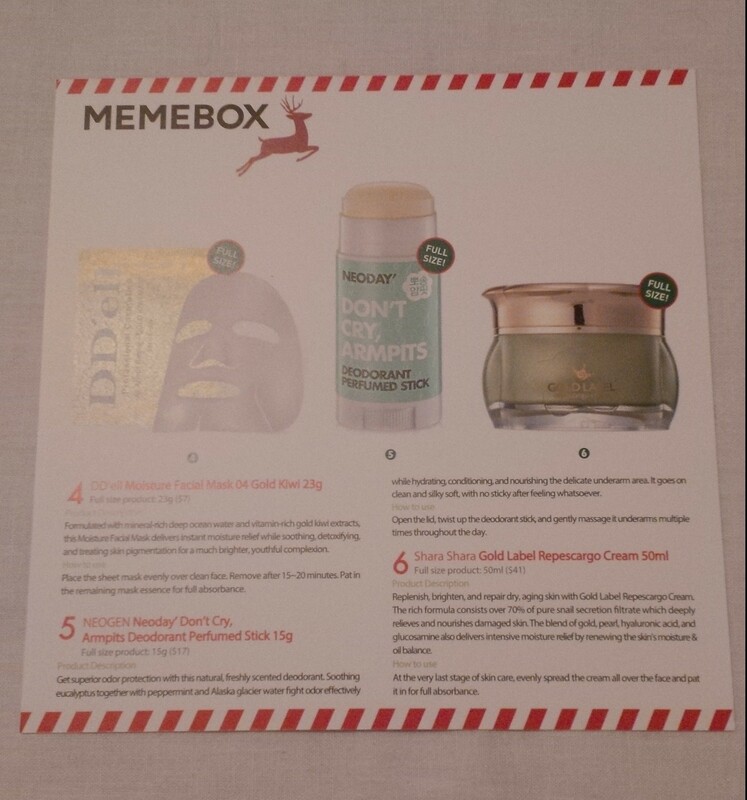 This was a box that was for sale since I started purchasing Memeboxes but at the time I didn’t know how much of a mask fiend I am. Now that I know that, I was trying to get as many of them as I could. That first picture is terrible, my apologies! The 100% pure mud extracted straight from the Dead Sea (consists 32% of salt and minerals) effectively removes any excess sebum, oil, dead skin cells, and external pollutants clogged up in the pores. The mineral-rich formula also delivers deep hydration and nourishment to dry, dull skin. 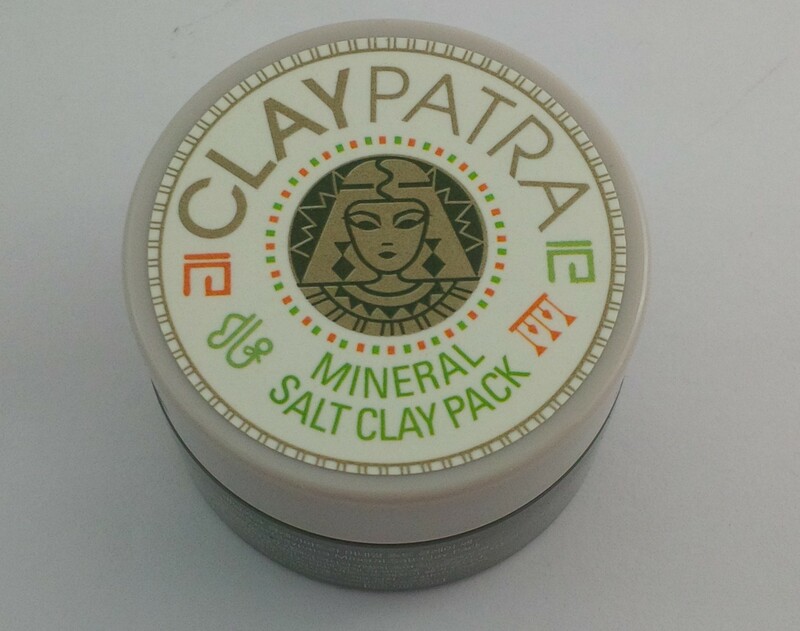 How to Use: Spread the clay pack evenly over clean face. Rest for 10 minutes and rinse off with lukewarm water. Gently massage with your finger tups to exfoliate dead skin cells while rinsing. 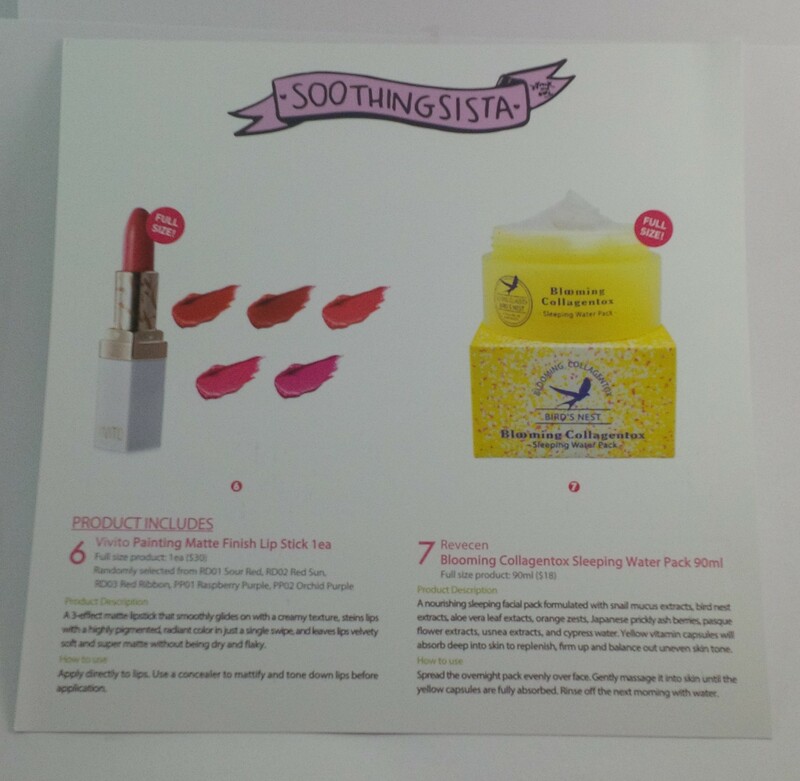 I received a couple of these little samples in my Boxing Day 2 box and I have really been enjoying them! I find my face feels so refreshed after I use this so I’m excited to have another little one. A luxurious, one-step facial to rejuvenate, brighten, and balance out uneven skin tone and texture for velvety smooth complexion. Real Aqua Velvet Sleeping Pack is lightweight and non-sticky in formula, quickly absorbing into dry, exhausted skin to form a protective moisture barrier that locks in the moisture within skin overnight. 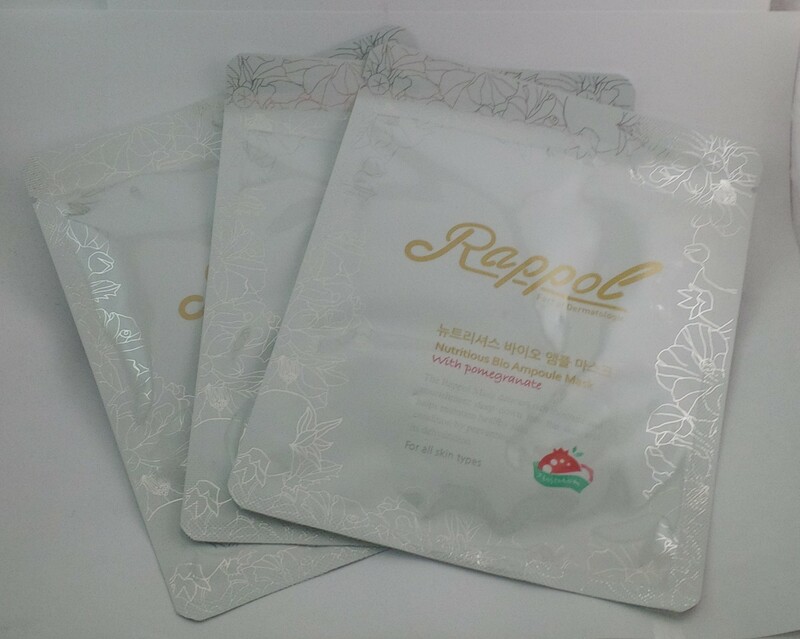 It contains niacinamide, adenosine, ice plant extracts, snail secretion, and birch tree sap. This is another duplicate product for me. I haven’t tried this one yet because I am still working on my Mangchee sleeping pack that I started forever ago. Like I said the first time I received this, it seems like an interesting product. People love products that have snail secretions in them so I am intrigued to see how this one works. Mung beans have long been utilized as skin detoxifying and clarifying ingredients. They’re highly rich in proteins, vitamins, and dietary fibres, effectively nourishing and brightening up visibly dull, dehydrated skin. How to Use: Spread the sheet mask evenly over clean face. Rest for 20-30 minutes. Remove the mask and pat in the remaining essence for full absorbance. 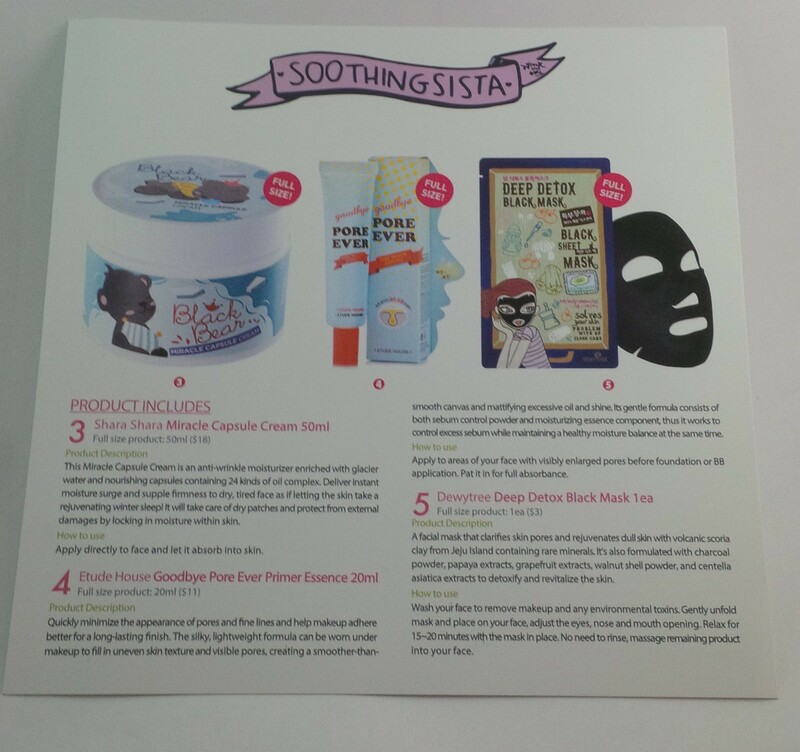 If you have followed along with my blog posts, you would know that sheet masks are my favourite skincare product! I am so happy that this box had some and I wouldn’t expect any less since it’s a mask box. 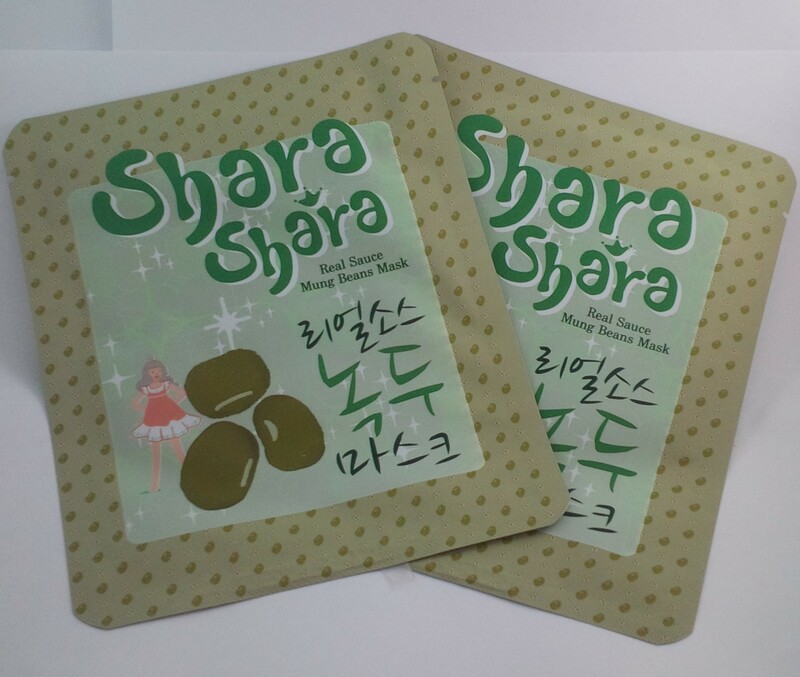 I don’t think I have used any Shara Shara sheet masks before so I look forward to trying this. I certainly am not opposed to skin detoxifying and clarifying! 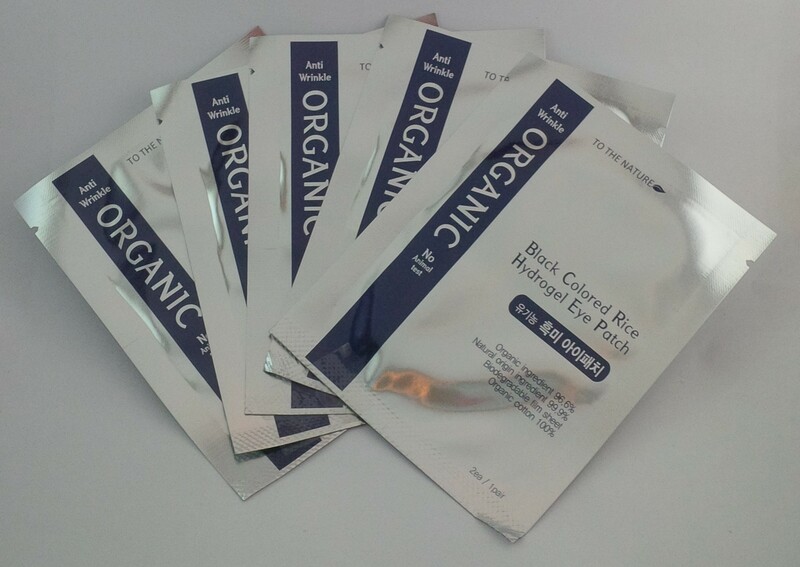 Enriched with organic black rice extracts, organic rice bran, carrageenan, gold extracts, adenosine, collagen, glucose, rosewood oil, and more, this Black Rice Hydrogel Eye Patch is all-natural and gentle to dry, sensitive skin. The hydrogel patches visibly diminish in its thickness as the nutrients packed inside absorb into the skin, firming and lifting up sagging under-eyes. Free of paraben, artificial fragrance, and artificial colouring. How to Use: Place the eye patches under eyes or along the smile lines. Remove after 10-20 minutes. I have really been enjoying hydrogel eye patches lately. Not only does the gel consistency feel really neat, they are really comfortable to wear. 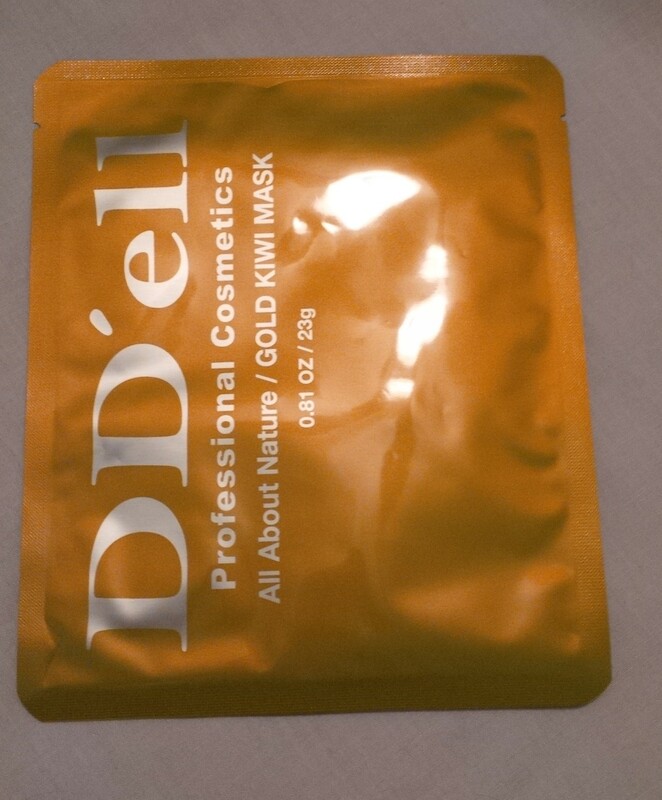 I find that gel masks of all sorts fit so snugly on my face which I absolutely love! There always seem to be gold extracts in these eye patches. I’m not sure if this actually has great skin benefits or if it is more of a gimmick. Regardless, I look forward to trying these and seeing how they compare to other gel eye patches I’ve tried. 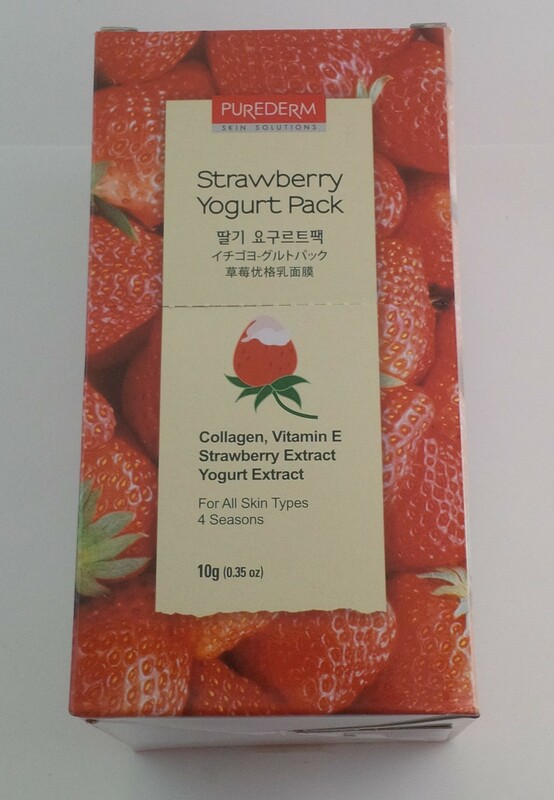 A wash-off type pack made from yogurt extracts, collagen, Vitamin E, and various fruit extracts. The kiwi pack helps control excess level of dead skin cells while the strawberry pack helps balance out excess sebum and oil, both effective for maintaining a healthy, glowing complexion. How to Use: Spread the pack evenly over clean face and gently massage. Wash off with lukewarm water after 5-10 minutes. This pack came in either kiwi or strawberry. I received the kiwi option in a previous box so I was definitely hoping for strawberry in this one and I got lucky! Although excess oil is not an issue for me, I definitely wanted to be able to try out both kinds. 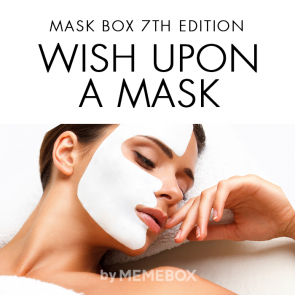 This box comes with 15 masks which is awesome! Samples with only one use can either not be enough to figure out how you feel about it, or you will love it and want more. I still haven’t tried any of the kiwi ones yet either but I will start working on them soon! 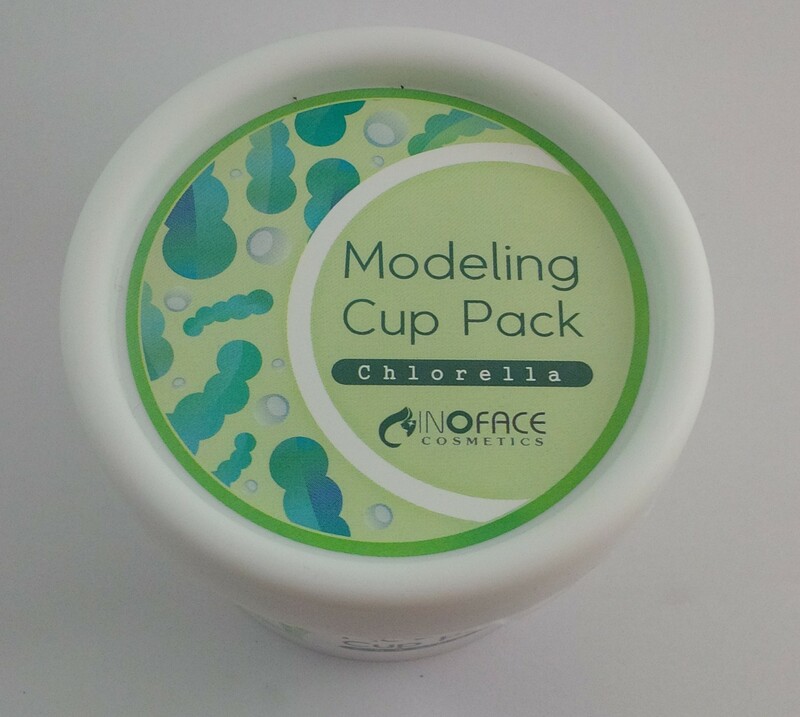 Experience home aesthetics with Inoface Modeling Cup Pack series which comes in 6 different types each catered to target different skin problems and conditions. Chlorella is effective in soothing and strengthening skin’s natural balance. 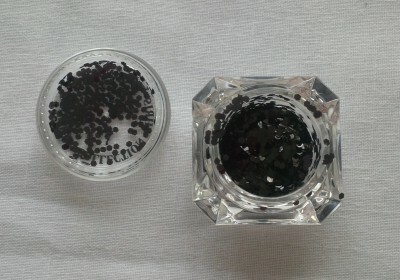 Black Food helps take care of excess sebum and firms up enlarged pores. Propolis delivers rich nutrients, leaving skin moist and dewy. Yogurt works to remove dead skin cells and balance out uneven skin texture. Acerola deeply alleviates and rejuvenates the skin. Peppermint also soothes and replenishes dry, simulated skin for a brighter, clearer complexion. How to Use: Mix the pack powder with water in 1: 0.8 ratio. Here, make sure to add water little by little until the mixture turns gooey like mud but still thick enough to stay put without drooping down your face. Spread the mixture evenly over clean face. Leave it on for 15 minutes and then remove the hardened pack from the chin in an upward direction. Finish off with a moisturizing cream. I am so excited to get this in the box! I had my eye on the Ettang Modeling Cups for a long time and this is the same kind of idea just from a different company. There were 6 different possible options for this product and I received the Chlorella version which is to help soothe and strengthen the skin’s natural balance. I am happy with this “flavour”, and I only call it that because I can’t think of a better word for it. However, I would have been happy with any of them! Even though I knew what this box contained when I ordered it, I am still so excited to have all of these products! I find that with the mask boxes, I will always use all of the products that they come with and I love masks so they are very exciting for me! I paid $20 for this box plus the $6.99 for shipping and the value of the box was $54.64. Not the highest valued box I have received but I will get a lot of use out of the products so that’s what really matters to me. Very glad I purchased this box! If you want to achieve that beautifully radiant Korean glow, removing makeup is ALWAYS more important than actually putting it on! Rule of thumb is, if you spend 20 minutes slapping on makeup, you should spend the same amount of time, maybe even more, cleaning it off! Regardless of your skin type, cleansing is the most important step in the game of Korean skin care! 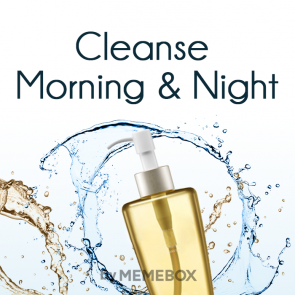 Don’t waste your time running down the aisles trying to find your perfect cleanser because we’ve curated the best morning and night cleansing routine-in-a-box to help you get glowing down to the pore! This effective, deep cleaning cleansing hydrates skin while it removes makeup and skin impurities. It provides essential hydration and nutrition for with sweet almond oil, avocado oil, argan oil, honey extract and more healthy ingredients to cleanse the skin’s surface and renew the complexion, leaving it healthy-looking and refreshed. Ideal for all skin types, the non-greasy texture leaves skin feeling moisturized – never tight or dry. How to Use: Rub three to four pumps into dry hands and massage evenly over dry face. Wet the face and massage until makeup is melted away. Rinse thoroughly with lukewarm water and pat dry with a towel. I’m excited for this one! Other than the Banila Co. Zero, I haven’t tried any oil based cleansers. I definitely haven’t tried an actual cleansing oil so I’m sure this will be nice. 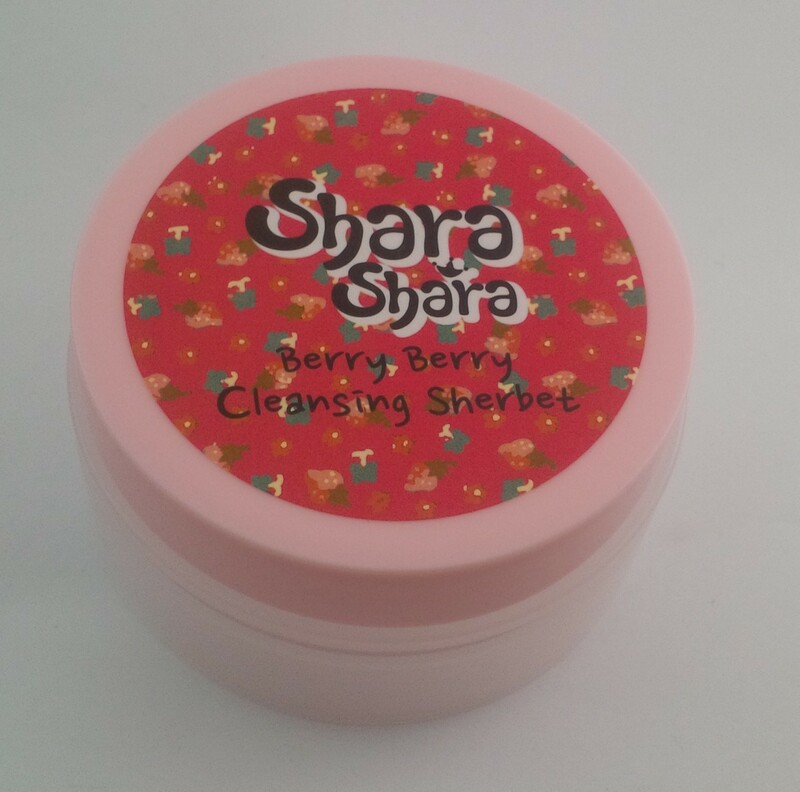 I’ve heard good things about Shara Shara skincare so hopefully it lives up to what I heard. This maximum-strength foaming cleanser leaves skin tingly clean and refreshed. 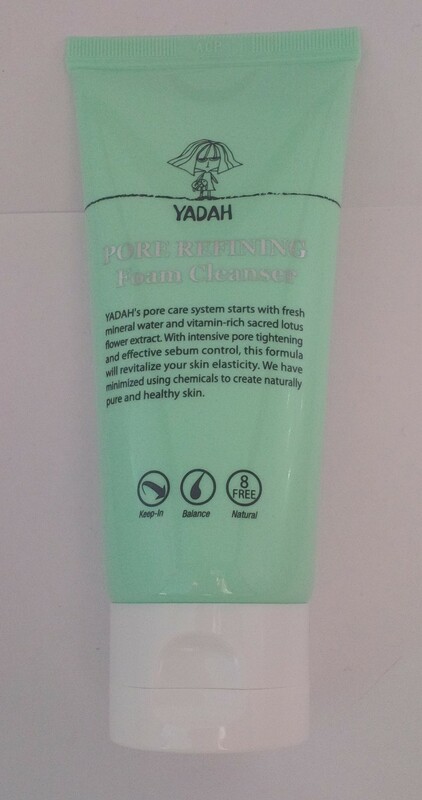 Formulated with egg white extracts, mineral water, and flower water this pore clarifying cleanser controls excessive sebum, removes dirt and oil living deep within the pores, and soothes and refines the skin. The results? Skin is refreshed and purified! Of course, there’s the added bonus of less likelihood of breakouts and blackheads! I do have a lot of foam cleansers lined up but I certainly won’t turn a new one away. 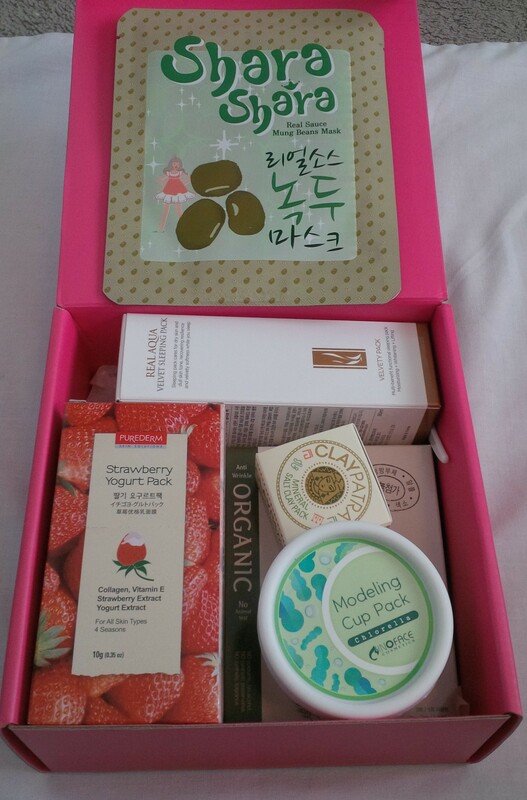 Especially since Memebox won’t be shipping internationally anymore, I need to hoard my Korean cleansers. The fact that this has egg white extracts reminds me of the Skinfood egg cleanser. I like that one so hopefully I like this one too. This exfoliating grommage gel visibly rolls and lifts away dead skin cells when gently massaged onto skin. Its gentle oatmeal and honey infused formula helps to effectively peel away the dead dermal layer to uncover a smooth and fresh new skin! It also removes impurities and decongests stubborn clogged pores for a youth, radiant look! How to Use: Apply a generous amount on clean, dry skin. Gently massage in a circular motion to roll, lift, and sweep away dead skin cells. Rinse well with water. I haven’t tried any grommage style peeling gels before but I have heard a lot about them. The thought of my dead skin rolling away is a little strange but if it works really well than I am all for it! I am excited about the honey aspect of this peeling gel. I look forward to trying this for sure! This professional toner contains naturally brightening and moisturizing ingredients such as hyaluronic acid, licorice extract, and morus alba bark extract to help clarify and brighten up the overall complexion. It contains arbutin, which inhibits the formation of melanin, to help prevent pigmentation and dark spots, and also contains propriety Lipidure to hydrate the skin, leaving skin clear, moist and healthy. On the packaging of this toner it says “professional use only” which makes me a little bit skeptical. Is it too intense and that’s why it’s for professional use only? I figure that if it wasn’t safe, than they wouldn’t send it in a box but who knows. If it really is a professional toner than hopefully it will be really great! This ingenious retractable eye makeup eraser/fixer instantly removes all traces of eye, including waterproof formulas, with its innovative double-ended tip. The oil balm tip uses gentle, non-irritating and skin-soothing ingredients to gently erase makeup, while the sponge tip helps to remove all residue and help tidy up around the eyes. How to Use: First, use the white oil balm tip to gently rub away any unwanted makeup around the eyes. Second, use the sponge tip to remove unwanted makeup residue and finish up your look. I am intrigued by this product! I think it could be really cool if it works the way that it’s supposed to. I would be a little worried about the oil getting into your eyes when it is in a more solid form but if oil cleanser works to take off makeup than this should work as well! I was surprised by this box. I was expecting that this would be entirely filled with cleansers which also made me a little but wary because I can only use cleansers so quickly. I was happy to see a couple of other things and cleansers in various forms. I paid $21 for this box plus $6.99 shipping and the total retail value was $93. Not too bad for a bunch of cleansers! I am happy that I ended up purchasing this one. If you’re like us, your makeup bag is most likely overflowing with old mascara, cracked eyeshadows, dry lipsticks…and a long list of stuff that should have been thrown out last month. Updating your look doesn’t have to cost a fortune! Give your makeup stand a good cleaning, and fill it up with the best K-Beauty makeup products of 2014! This box is brimming with top quality skin perfectors, eye makeup essentials, lip loves, and much, much more! 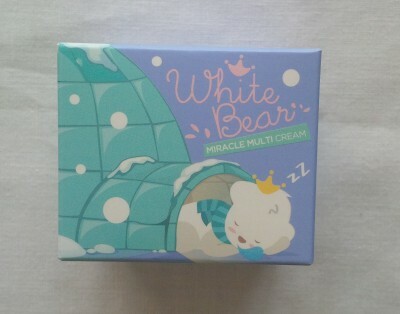 I bought this as part of my second Memebox order, and this was in the same order I purchased my Tinkerbell box which I received quite awhile ago. I was quite excited about getting some new, interesting makeup to try so let’s see what we got! A dual concealer with a rounder stick type on one end and a finer tup pencil type on another, each catered to cover up smaller and larger skin imperfections. 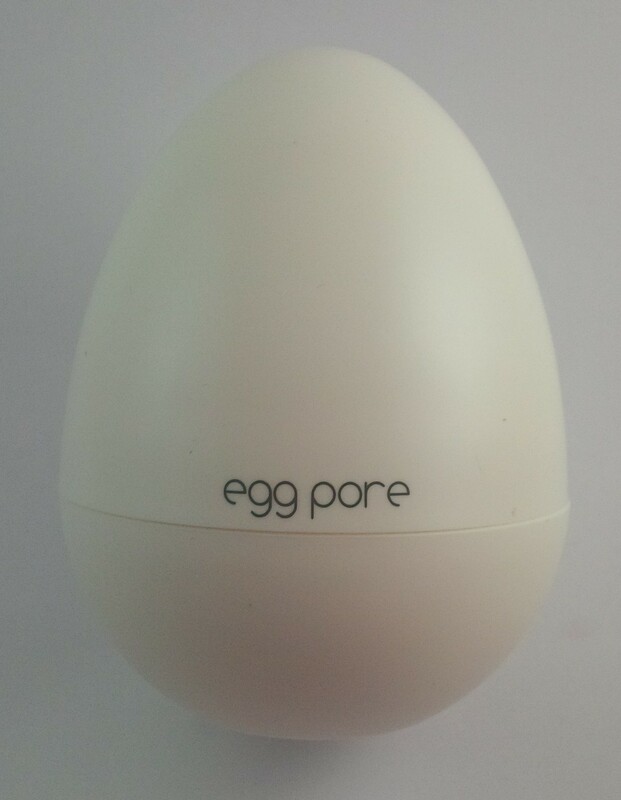 Its creamy, soft touch applies smoothly onto skin, blending well with base makeup with high coverage. How to Use: Apply the rounder stick over larger blemishes and the finer pencil over smaller spots and freckles. This product was randomly selected from light beige and beige. 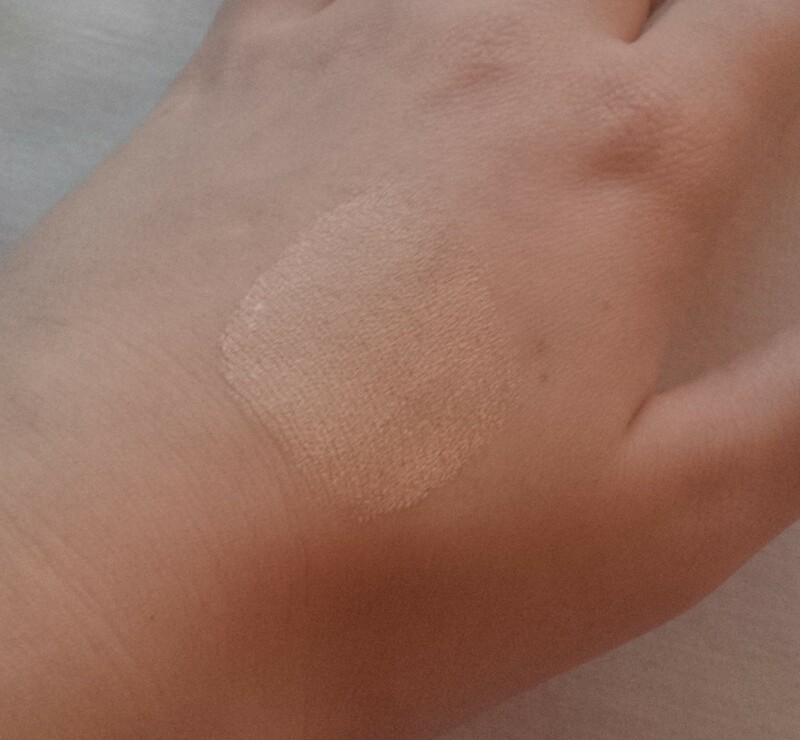 I got beige which is a bit too dark and orange toned for my skin. I will need to try it out because the orange may be nice for under my eyes but if it is too dark than it will be a no go for me. I did try and cover the freckles on my hand and it didn’t seem to cover too much so we will see how this goes. I do love trying out new concealers so this isn’t a total wash just yet. Normal cushion BBs, when applied multiple times over and over, usually end up ruining the initial dewy look that you started with in the morning. However, Dr.MJ Real Mucin Restore Cushion is closer to a skin care formula than a simple BB, because it’s packed with rich nutrients from snail filtrates and various moisturizing agents for adding more radiance and glow to the skin with multiple applications. Free of paraben, mineral oil, benzophenone, talc, and alcohol. 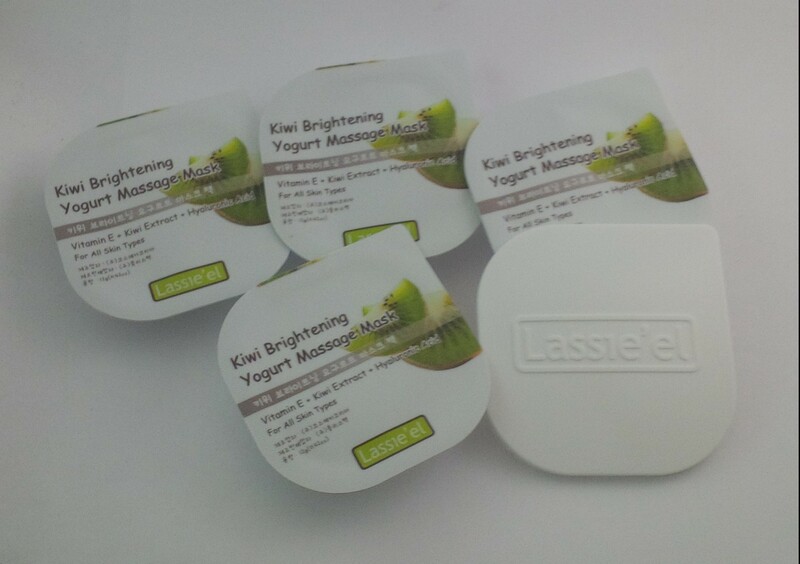 I have only tried one BB cushion before and it was a sample of the Laneige cushion that I got in an Ipsy bag. I really liked that one so I was excited to see this in the box. 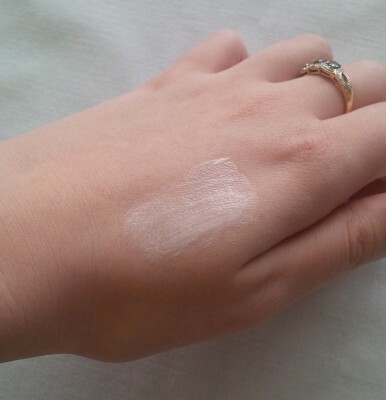 I can’t seem to find a shade on this packaging but from the swatch, you can see it is pretty close to my skin tone and it blends out nicely. I haven’t tried this on my face yet but let me tell you, on the back of my hand this feels absolutely beautiful! It felt smooth and soft. It also gave the back of my hand a wonderfully smooth coverage. I am so excited to try this on my face! This is a big win for me! A creamy stick type highlighter for adding 3D definition and radiance to any makeup look. The hologram pearl-infused formula glides smoothly onto skin with a moist touch but then leaves a silky, powdery finish. It also comes with an attached blending sponge on the other end. I have really been into using highlighters lately. 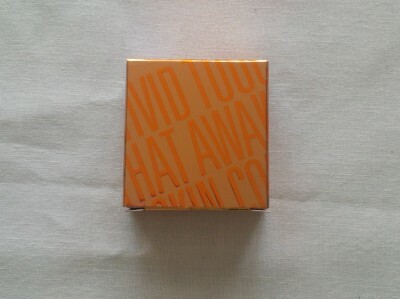 This one is a golden colour that is similar to the Peripera Heart Glow Stick from the Thanksgiving #2 Box. 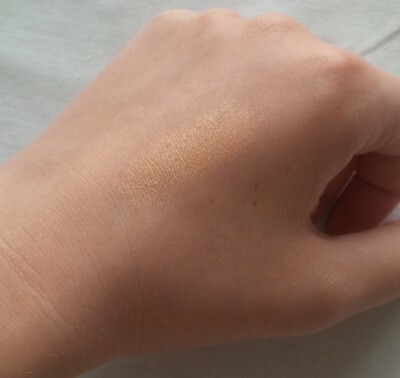 I find I like the more golden toned highlighters compared with the white to pink coloured ones. I think the lighter ones give a more dewy look which would be perfect for spring and summer, where the golden ones just give a little bit of a deeper glow which is nice for this time of year. I didn’t realize there was a sponge with this until a little later which I really like because most of the time I blend highlighters with my fingers. I am happy to have this product! 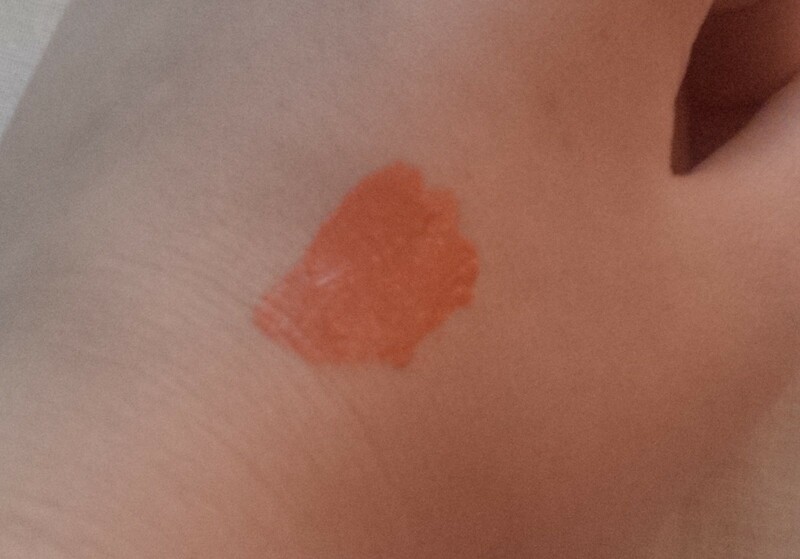 A sheer, lovely coral colour that could be used as both a lip tint and a lip gloss. It melts onto lips to instantly replenish while creating a tinted oil barrier over lips – thus a long-lasting shine and gloss. I have so many lip glosses. A gross amount really, and I don’t love glosses. I wear my NYX Butter Glosses all the time at work, but other than that, I can be quite picky with glosses because they are so sticky. 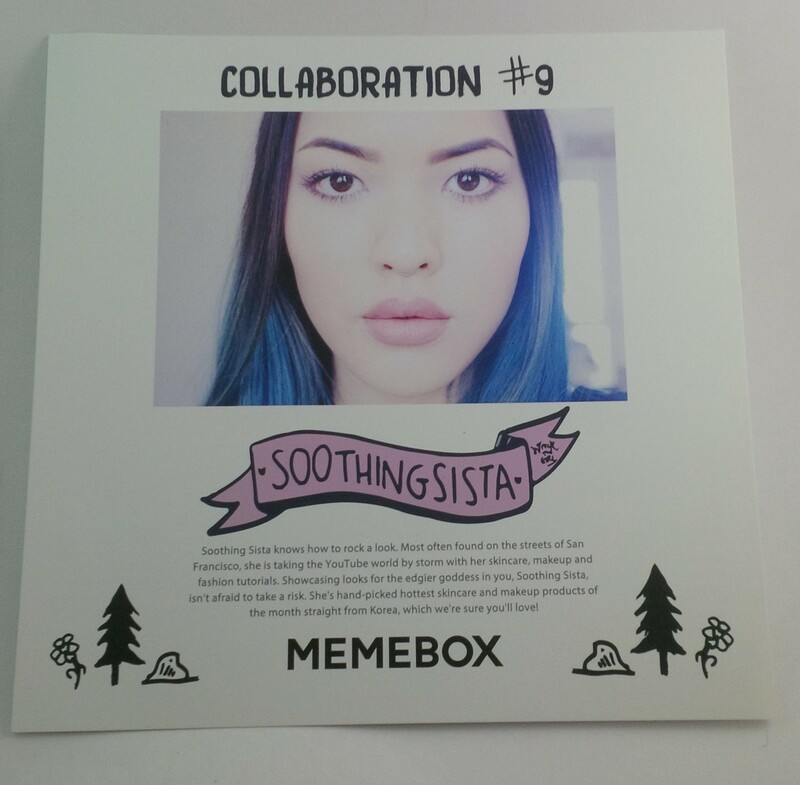 I wish Memebox would send out a beautiful (not orange) lipstick to try. This is a coral colour that leans more towards the orange side for me. 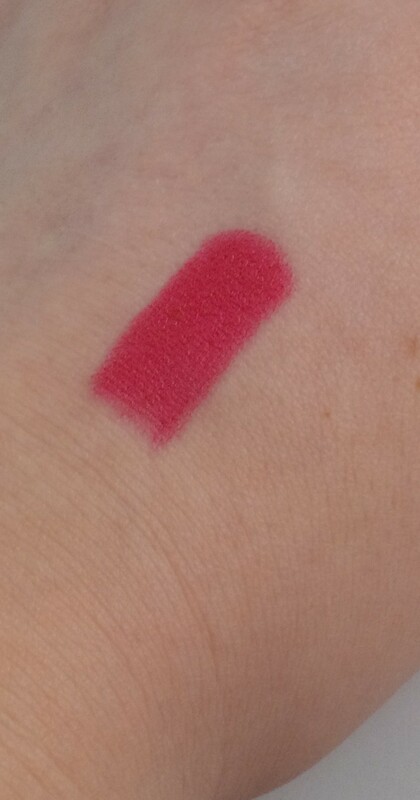 I haven’t tried this on my lips yet but just from swatching it, I am not super excited about the colour. Maybe it will be one of those colours that I put on my lips and it looks really nice. We will have to see about this one. A brush type liner in natural black, this Drawing Brush liner is perfect for any look from daily natural makeup all the way to smoky makeup. The soft brush tip easily glides onto lids and creates sophisticated, deeper-looking eyes in just 10 seconds. 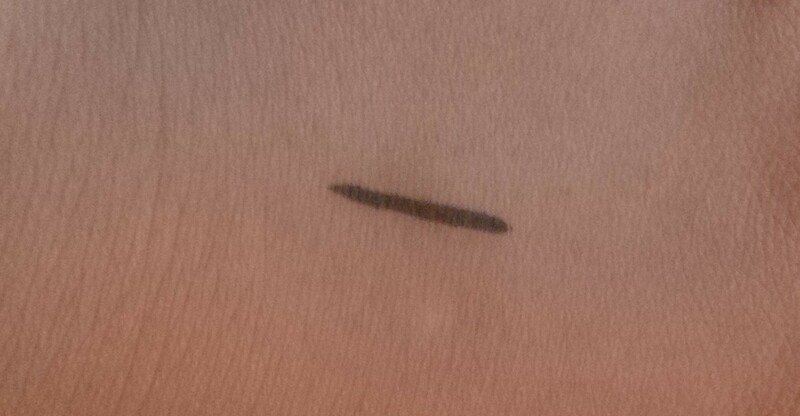 I am actually quite happy to have this liner! I love using liquid liner and I love trying new ones out so I am pleased that this was in the box. 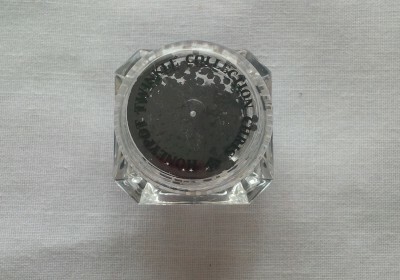 Some reviews I have read found that this was not very pigmented and tough to use. I didn’t have any problems. I think it is easy to apply and the colouring of it is nice so I am really happy to have gotten this! Another win for me! I am not disappointed with this box but I wouldn’t say I am over the moon about it either. I paid about $25 for this box (after discount code and using points) and the retail value of the box is $99. This value is driven way up by the BB cushion which is valued at $54. Now, there is one thing to be said. 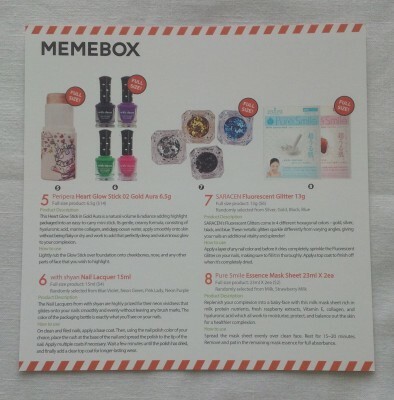 Something interesting has happened with me since I started getting Memeboxes. Before getting them, I was terrible at taking care of my skin. I didn’t really have a routine, I would moisturize inconsistently, I didn’t use toners/essences/serums/ampoules or any of that kind of stuff. 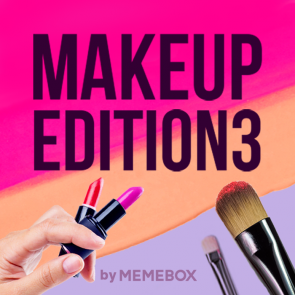 I did love makeup (and still do) so when I started ordering Memeboxes, they were primarily makeup based. Once I started getting boxes that weren’t makeup based, I formed this crazy skincare routine that I have stuck to pretty well considering what I did before. 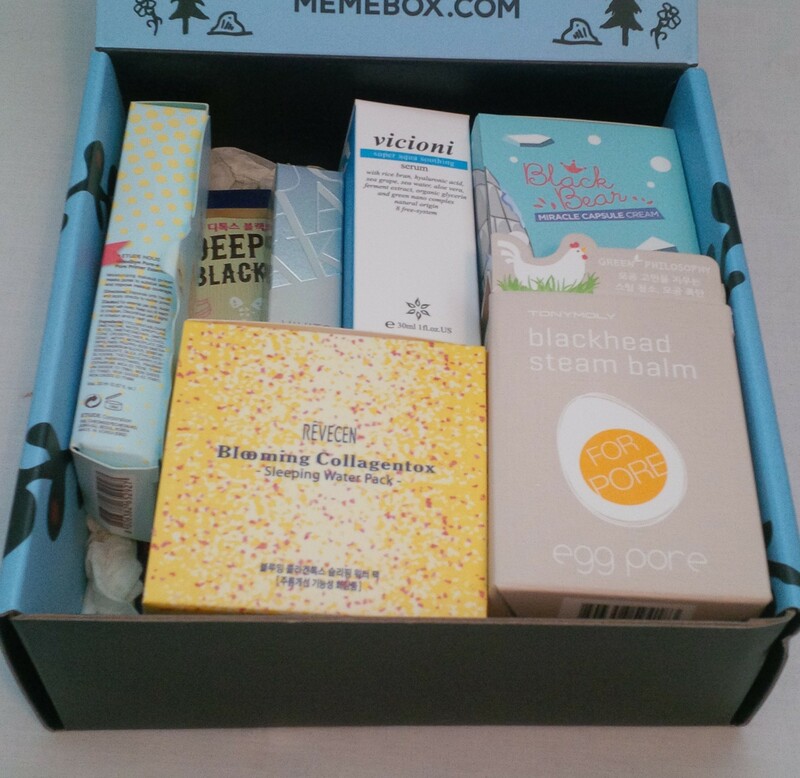 I haven’t received any real holy grail makeup products from Memebox but have gotten some stellar skincare items that I love. 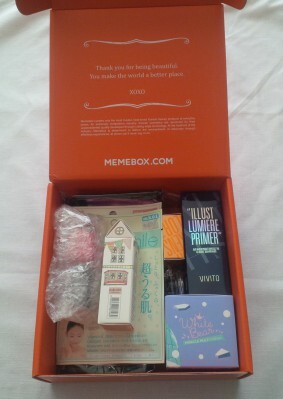 Now, I don’t want to get as much makeup from Memebox, just really cool skincare items. 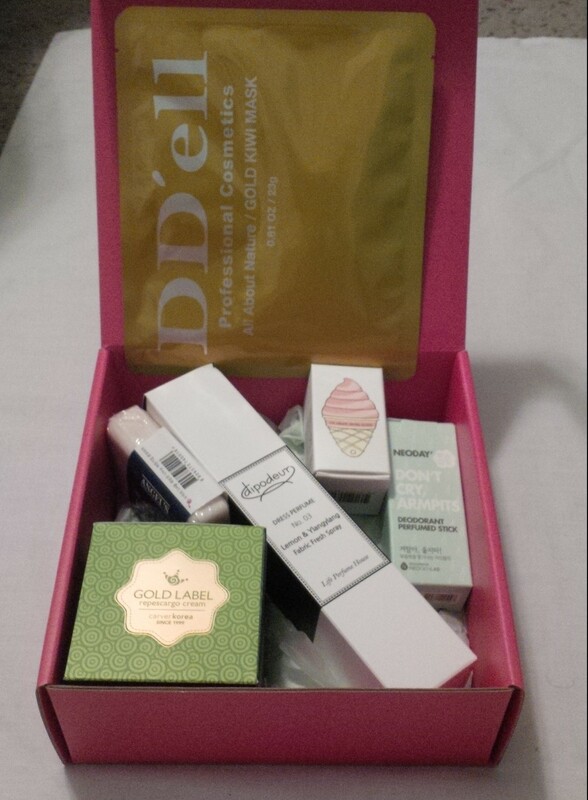 Although this box was alright, I am just too excited to get my upcoming boxes that have cleansers, and creams, and masks. I can’t wait. Sorry this has been a little long winded but I did want to say it’s not the box’s fault that I didn’t love it. I have just become a lover of skincare, which I wouldn’t say is a bad thing. If you have stuck it out this far in the post than kudos to you and I really appreciate you reading! 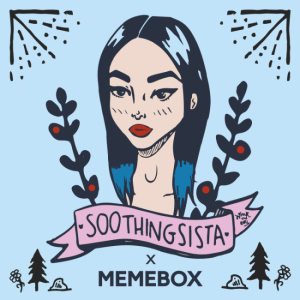 If you would like to make any purchases from Memebox, feel free to use my affiliate link or codes below to do so! The first three codes are valid until January 31 2015. 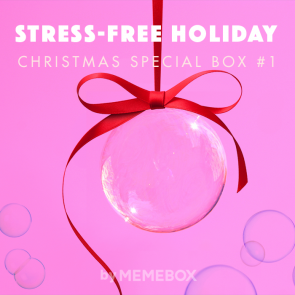 Holidays got you stressed? It’s time to relax with a box full of easy skincare and body essentials to help keep holiday tension from taking over. The end-of-the-year holiday season is the most delightful time of the year…or it can get you to cringe, stress, and drive you crazy. Worry not because we’ve gathered a box full of skincare and body must-haves to help you cope with the stresses that follow holiday preparations. This box will help you to fight skin and body blemishes and flaws that follow stress, skin’s #1 enemy, and help you to maintain your beauty all season long! As soon as the Christmas bundle came on sale I knew I had to buy it. I thought that everything would be pretty festive, and it had been awhile since we had had a new bundle so I just felt like picking it up. 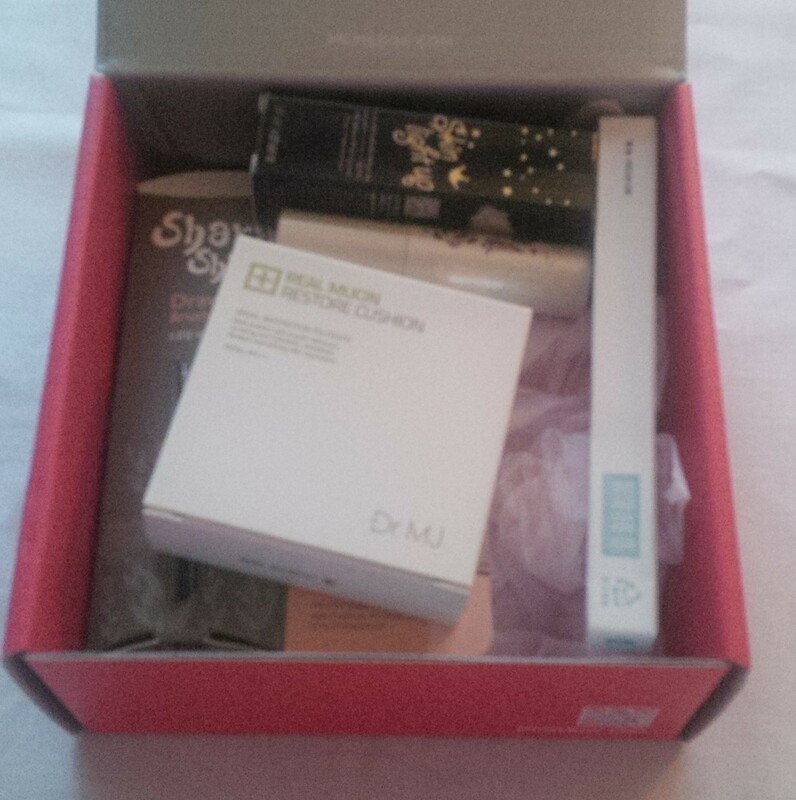 This first box of the collection is more focused on skincare so let’s see what we got! Recipe by Nature’s new Ice Cream Swing Gloss is infused with various natural oils – jojoba seed oil, argan oil, and grape seed oil – to provide a surge of hydration to dry, chapped lips. It adds a subtle glossy sheen, and sweet taste to the lips for a totally kissable pout. 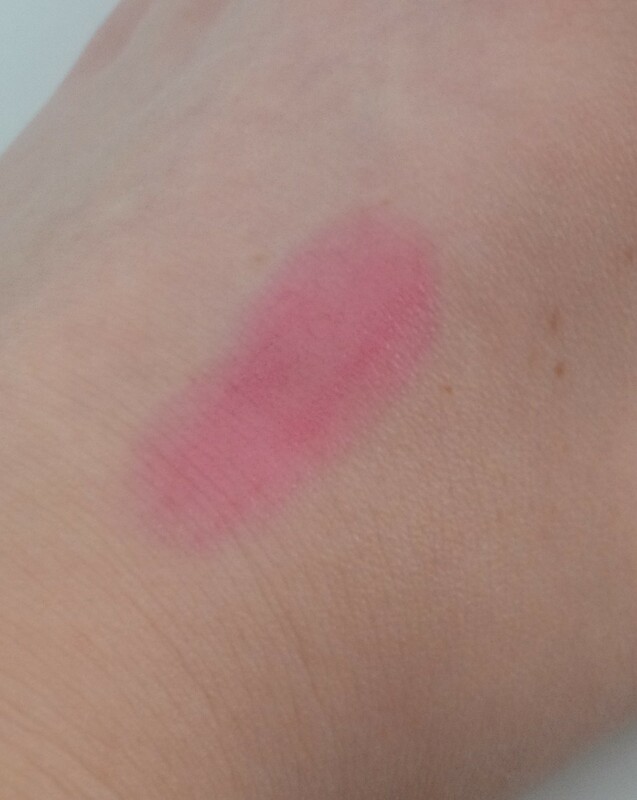 How to Use: Use the ring finger to blend the red and the more translucent swirls together and apply it to the lips. I am kind of meh about this product to be honest. I remember seeing a blue-ish/green colour of this gloss in another box (the petit treasure box maybe?) and not being super drawn to the product. I’m not sure what “very lovely” is supposed to be in terms of a scent/flavour but it isn’t anything distinct to me. I also find that this just sat on my lips instead of moisturizing them. I will try and use this product up but I’m not sure I will reach for it when I have other options, to be honest. This natural soap is made from 97% pure coconut extracts and carbonated spring water. The 100% nature friendly formula is highly effective in treating acne, blemishes, blackheads, and wrinkles. I am thankful enough to not really get too many blemishes and I have never been acne prone (thank goodness!). However, my one brother has pretty bad acne and so I would like to pass this on to him. Getting him to try new skincare products is like pulling teeth. For whatever reason, he is against people trying to help him with his skin and he almost won’t use the products to rebel against people. This soap smells pretty good so if it actually works for him than that would be great! I will just have to keep working on that I guess, if not than this can join the line of bar soaps I have to use up. Gentle to skin and nature friendly in its formula, the Dress Perfume series is characterized by its fresh ‘soap’ scent blended with phytoncide water and naturally derived fragrances unique to each option. Find your signature fragrance from Dipodeur’s 5 more popular scents in line. 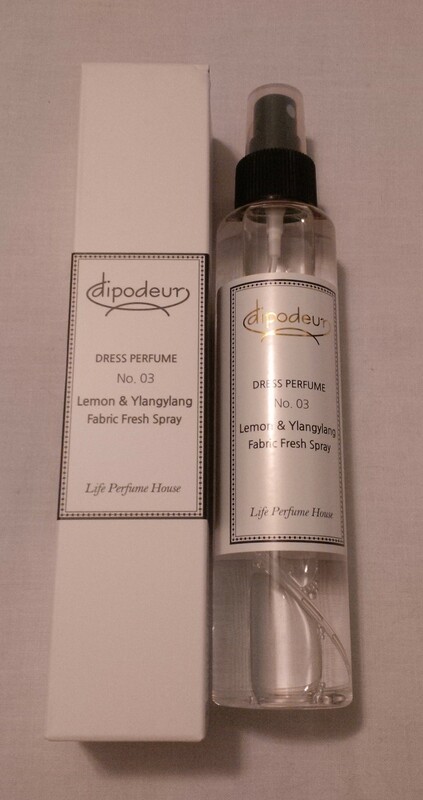 How to Use: Spray the dress perfume over your inner and/or outer clothes. There were six options for this spray and they were : 03 Lemon & Ylangylang, 07 Orange & Fiore, 12 Rose & Flower Garden, 21 Figuier & Glass Leaf, 24 Lime & Mandarin, or 27 Iris & Whitebouquet. I got 03 Lemon & Ylangylang and I was pretty happy with that! I am definitely into the more fruity, citrus scents than the floral ones so this was a good option for me. I also would have been pretty happy with 24 Lime & Mandarin. I have tried this out just to smell it and although it is a little bit lemon Pledge-ish, I like it! I haven’t actually tested it out so I can’t yet speak to its lasting power. Formulated with mineral-rich deep ocean water and vitamin-rich gold kiwi extracts, this Moisture Facial Mask delivers instant moisture relief while soothing, detoxifying, and treating skin pigmentation for a much brighter, youthful complexion. How to Use: Place the sheet mask evenly over clean face. Remove after 15-20 minutes. Pat in the remaining mask essence for full absorbance. Ever since I got my Thanksgiving Memeboxes, I have been obsessed with sheet masks! I even went to my local mall and picked some more up from The Face Shop. I have never tried a single mask that is worth $7 on its own so I will be really interested in seeing if there is a noticeable difference in the quality or effectiveness. Really happy about this item! Get superior odour protection with this natural, freshly scented deodorant. Soothing eucalyptus together with peppermint and Alaska glacial water fight odour effectively while hydrating, conditioning, and nourishing the delicate underarm area. It goes on clean and silky soft, with no sticky after feeling whatsoever. I have to be honest, the scent of this deodorant really puts me off. 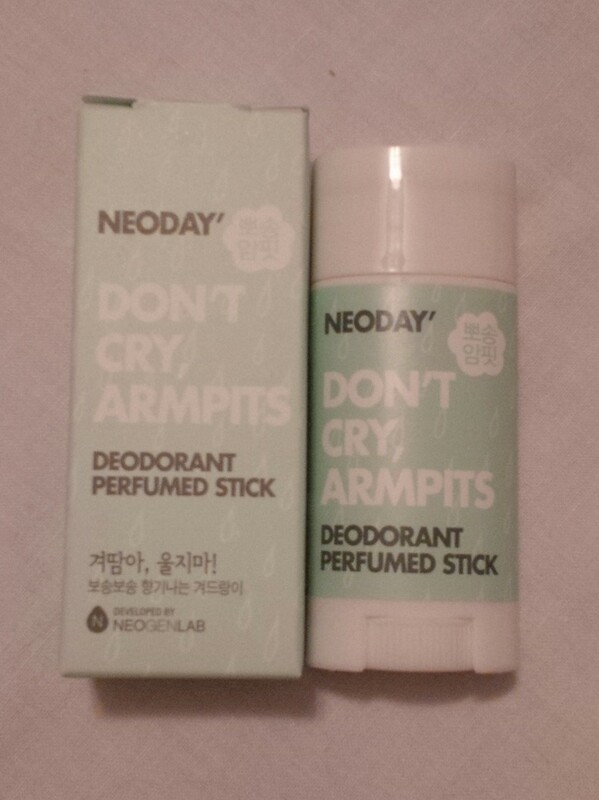 I find the eucalyptus scent to be so strong and I am a little bit afraid to try it out. I think I will try it on a day when I am just going to be at home, that way if the smell is really overwhelming, I will be able to wash it off. 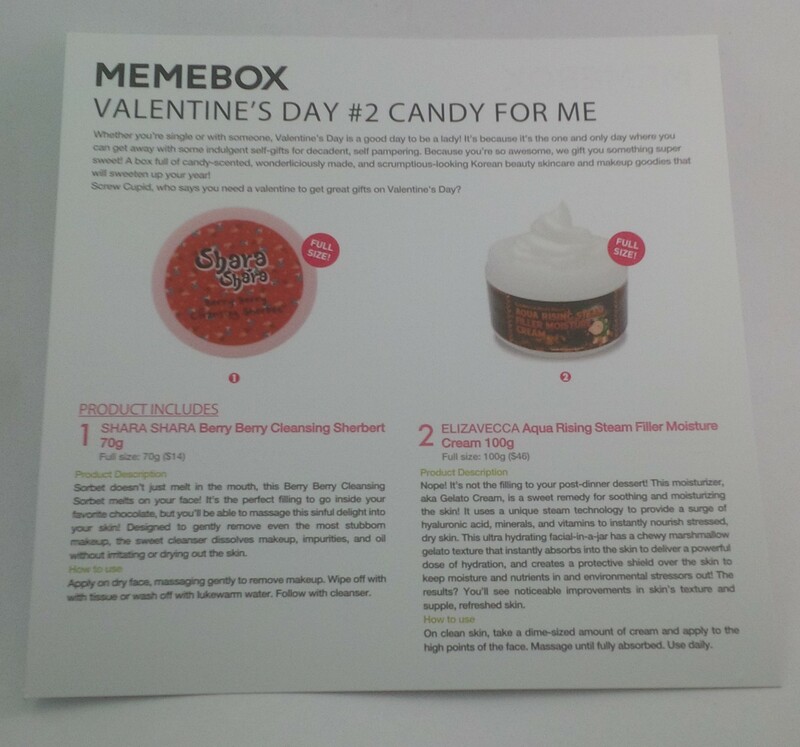 Along with this, I feel like getting a deodorant in a memebox is not the most exciting thing in the world. $17 for a deodorant?! That is crazy! Replenish, brighten, and repair dry, aging skin with Gold Label Repescargo Cream. The rich formula consists over 70% of pure snail secretion filtrate which deeply relieves and nourishes damaged skin. The blend of gold, pearl, hyaluronic acid, and glucosamine also delivers intensive moisture relief by renewing the skin’s moisture & oil balance. 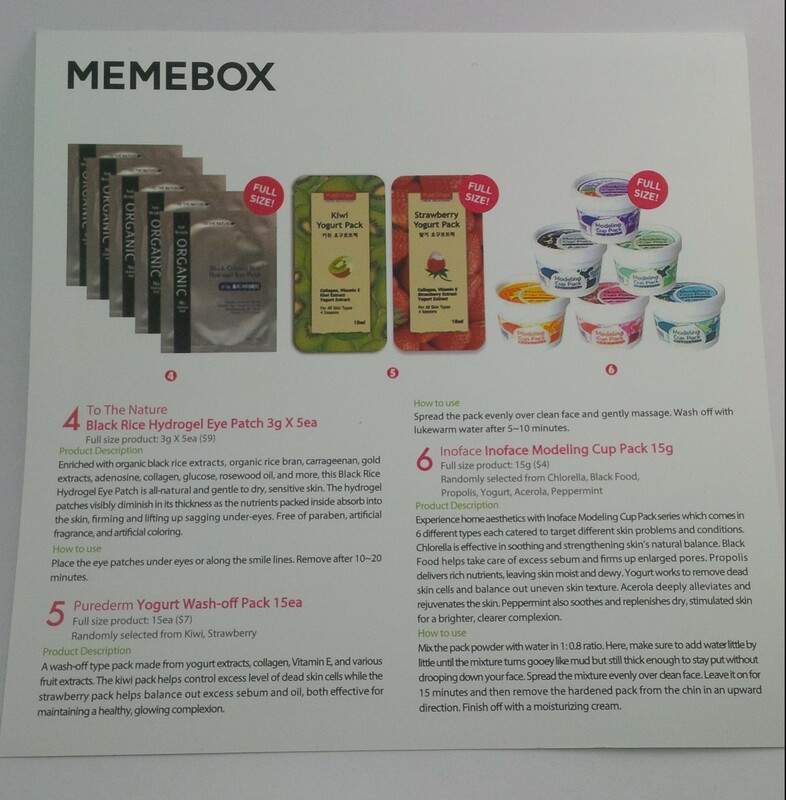 Creams including snail secretion are some of the products I have heard the most about since being involved with Memebox. 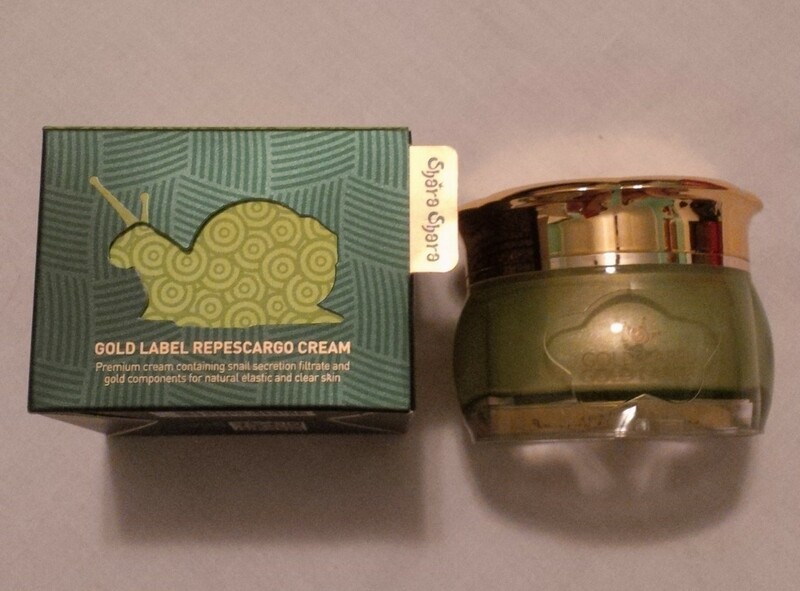 This is the first snail based product that I have received and I am pretty excited about it! I have not opened it yet because I have so many other creams to go through first, but I am excited to see what this can do for my skin! Overall this box isn’t too bad. When I read the description, I thought it might be more “spa” type skincare products like more masks or scrubs but it is alright! In the bundle, I paid about $23 for this box including the shipping and the retail value for the items is $102. Stay tuned for the second Christmas box! Looking for a unique way to say thank you to that special someone this fall season? Need a gift idea for your mom, sister, or friend hosting 2014 Thanksgiving dinner? Then, opt for this ready-made luxury gift box, specially designed with a Thanksgiving themed box design, and a personal Thanksgiving holiday greeting! Pamper that special lady with this amazing limited edition bursting with the ultimate collection of K-Beauty skin care, makeup, and more! I am way too excited that my Thanksgiving bundle has arrived! I only bought it last week and I was still far too impatient waiting for it, especially when I was trying to avoid the spoilers online. 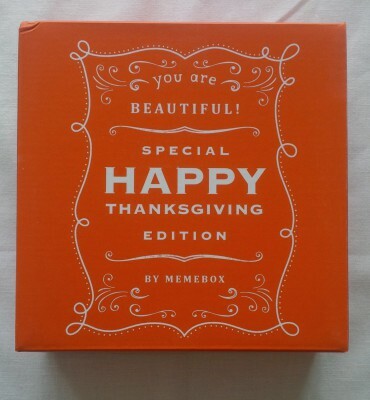 I bought this box in a bundle with the Thanksgiving Collection #2 For You box for $58.99 including the $6.99 shipping (with free upgrade to express shipping). I also had a coupon code so it cost me a total of $48.99 for both boxes (about 24.50 per box including shipping). 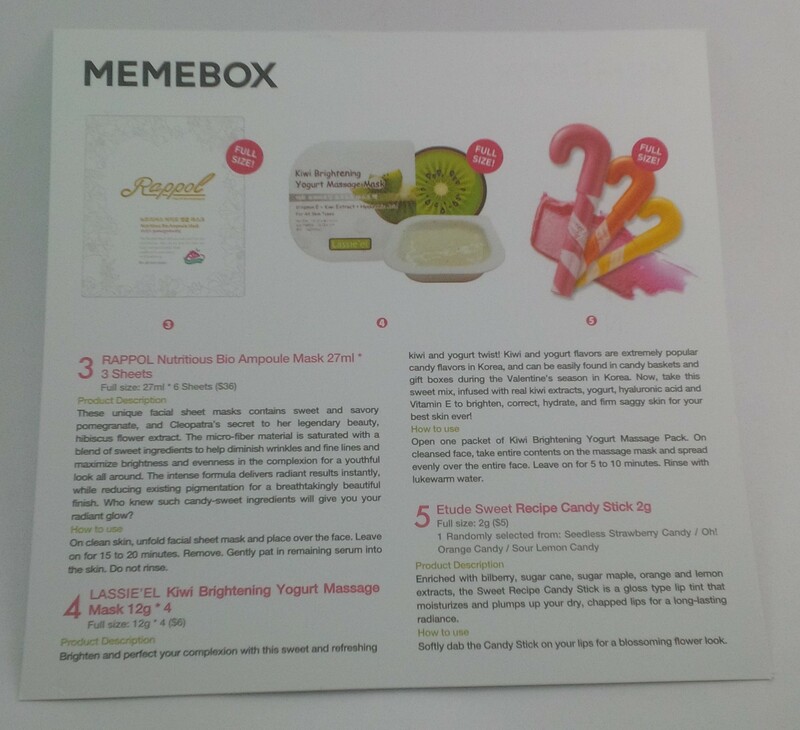 If you have not heard of Memebox, it is a Korean beauty box that contains a variety of skin care, makeup, and other beauty products. 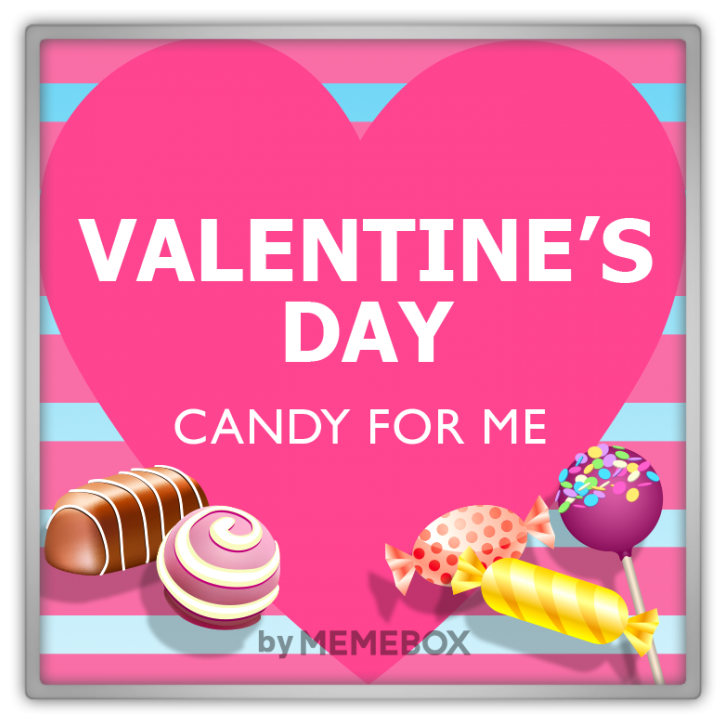 There are several types of boxes, including: memeboxes, superboxes, nakedboxes, and boxes that are set around a particular theme. The prices vary depending on the type of box that you get and can range from $15-$80 I believe. Most of the regular boxes are $23 and then you also have to pay $6.99 shipping for each box. You have to keep an eye on the shipping dates for each box because it can be months away, that way you aren’t frustrated wondering why the shipping takes so long. Sometimes if boxes are due to ship at the same time, they will have bundles so that there is only one shipping cost. 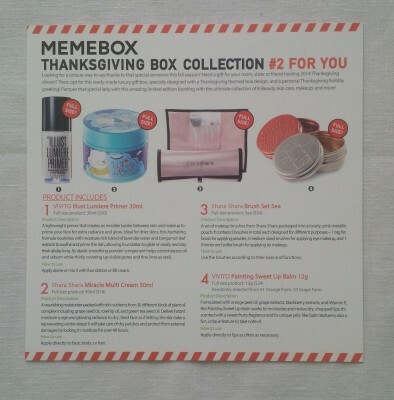 Let’s take a look at the first Thanksgiving box! Now, let’s be honest. This box may be called “for you” but I am definitely keeping them both for myself. After opening the boxes, I was more excited for this one than the other but they are both great. Let’s see what is in this box! A lightweight primer that creates an invisible barrier between skin and makeup to prime your face for extra radiance and glow. Ideal for drier skins, this hydrating formula nourishes with moisture-rich blend of lavender water and bergamot leaf extracts to soothe and prime the skin, allowing foundation to glide on easily and stay fresh all day long. Its ‘elastic smoothing powder’ component helps control excess oil and sebum while thinly covering up visible pores and fine lines as well. How to use: Apply alone or mix it with foundation or BB cream. 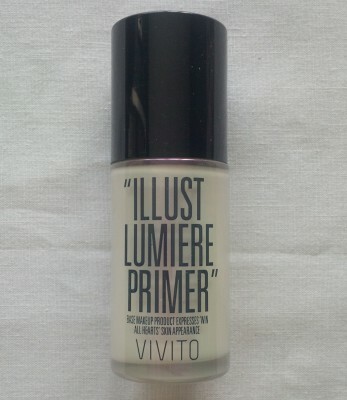 I am excited to get this primer! I am using a sample one right now that I really don’t love and this being a full size product worth $50 (although that is probably inflated) is great! I am really excited about the fact that it is ideal for dry skin because my skin is on the normal to dry side. I am hoping this means it will stop my makeup from clinging to any dry patches. I’m also hoping this isn’t too shimmery underneath my makeup. Excited to try this! A nourishing moisturizer packed with rich nutrients from 30 different kinds of plan oil complex including grape seed oil, rosehip oil, and green tea seed oil. Delivers instant moisture surge and glowing radiance to dry, tired face as if letting the skin take a rejuvenating winter sleep! It will take care of dry patches and protect from external damages by locking in moisture for over 48 hours. How to use: Apply directly to face, body, or hair. I haven’t cracked right into this jar yet because I feel like I have too many creams on the go as it is. 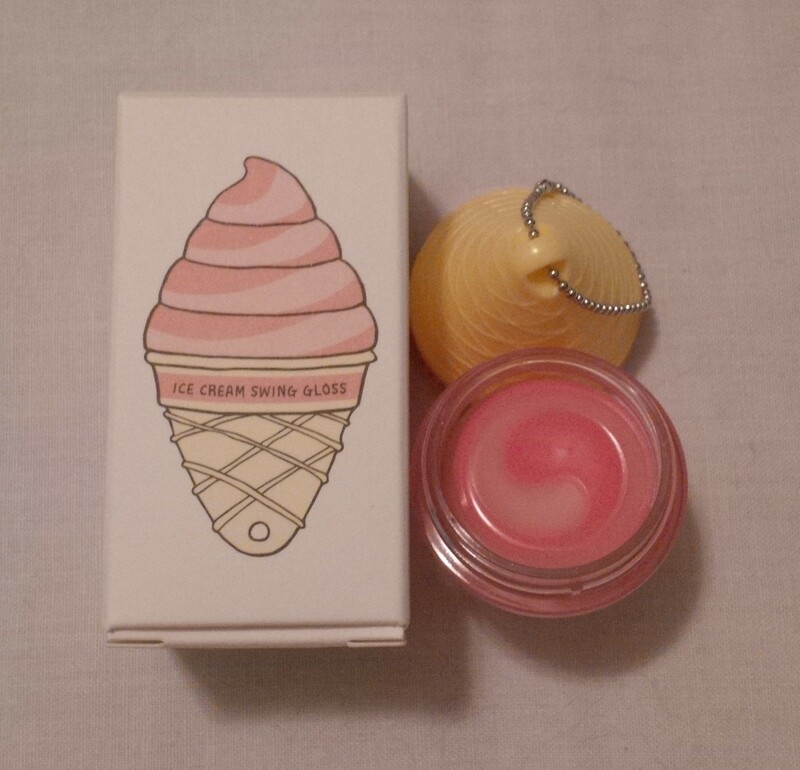 From what I can tell though, this is actually a thick balm rather than a cream. I’m not so sure I would use it in my hair but would definitely use it on my really dry patches. For me, this is usually small patches on my face, my elbows, and the bottoms of my feet. With the cold weather already here, this could definitely come in handy this winter! I’m not super thrilled about the quality of these brushes. I was considering giving them as a part of a Christmas gift but I don’t think they are high enough quality to pass on to anyone. However, they will be handy to keep in my brush collection as back up brushes. I just wish that the sponge wasn’t one of the “brushes” included. 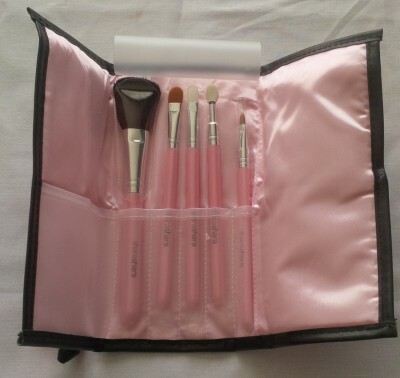 They could have picked another nice medium sized eye brush that would have suited the set better. The scent/flavour options for this product were 01 Orange Farm and 03 Grape Farm. I got 03 Grape Farm, which I wasn’t thrilled about at first because I usually don’t like artificial grape scents. However, once I smelled it, I loved it! In the pot, this is just a clear balm. I put some on my lips while I was taking pictures and thought it felt pretty nice. Then came the surprise when I looked in the mirror a little while later. My lips were pink! I’m talking a fairly pigmented pink. I had no idea that the colour would change once it was on my lips, and the colour lasted forever! I love this product, although next time I will apply it when I am actually looking in the mirror because I coloured a little bit outside the lines last time haha. 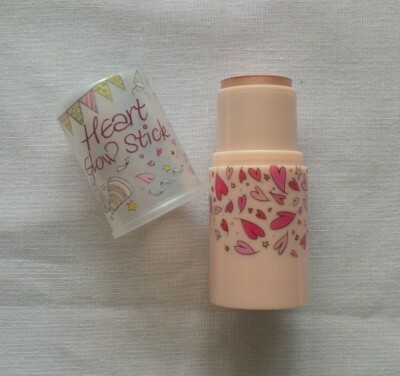 This Heart Glow Stick in Gold Aura is a natural volume & radiance adding highlight packaged into an easy-to-carry mini stick. It’s gentle, creamy formula, consisting of hyaluronic acid, marine collagen, and deep ocean water, apply smoothly onto skin without being flaky or dry and work to add that perfectly dewy and voluminous glow to your completion. How to Use: Lightly rub the Glow Stick over foundation onto cheekbones, nose, and any other parts of face that you wish to highlight. I was super excited to see this in the box! I haven’t owned a highlight before but have been looking for one to try (I’m indecisive, what can I say?). I really do like the colour of this one and it blends out nicely so that it doesn’t look too golden. I think this will be even better in the summer if I can manage to get a bit of colour onto my skin. Awesome product! The nail lacquers from with shyan are highly prized for their neon vividness that glides onto your nails smoothly and evenly without leaving any brush marks. The colour of the packaging bottle is exactly what you’ll see on your nails. In this box you could have gotten Blue Violet, Neon Green, Pink Lady, or Neon Purple. 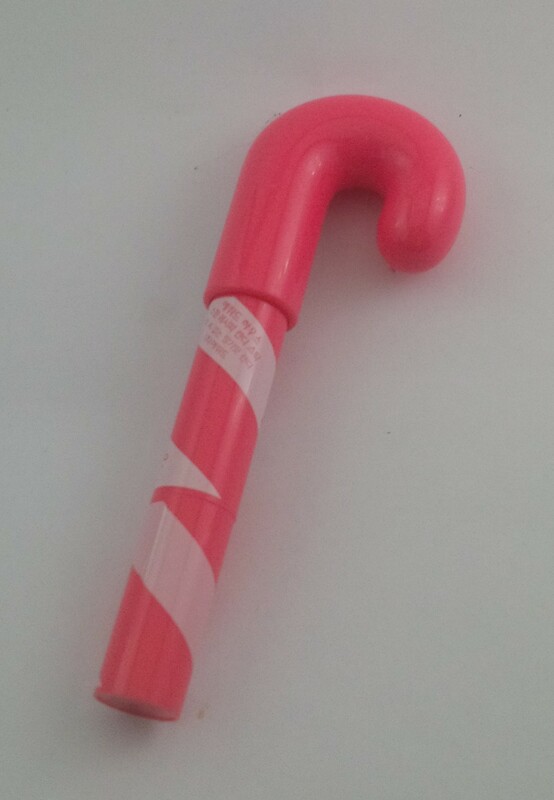 I clearly got the Pink Lady and I am okay with this, it is a really nice colour and will be great in the summertime. I would have liked to try the Blue Violet too! SARACEN’s Fluorescent Glitters come in 4 different hexagonal colours – gold, silver, black, and blue. These metallic glitters sparkle differently from varying angles, giving your nails an additional vitality and splendor! How to Use: Apply a layer of any nail colour and before it dries completely, sprinkle the Fluorescent Glitter on your nails, making sure to fill it thoroughly. Apply a top coat to finish off when it’s completely dried. With the holidays so close, I am a little sad that I didn’t get the gold or silver. That being said, I am definitely glad I didn’t get the blue. I think that I will use these glitters for a completely covered accent nail. The only issue with this is that you don’t get a ton and when you open the lid, the glitter gets everywhere because it is so light and seems to cling to everything. I am excited to see how this looks though! Replenish your complexion into a baby-face with this milk mask sheet rich in milk protein nutrients, fresh raspberry extracts, Vitamin E, collagen, and hyaluronic acid which all work to moisturize, protect, and balance out the skin for a healthier complexion. How to Use: Spread the mask sheet evenly over clean face. Rest 15-20 minutes. Remove and pat in the remaining mask essence for full absorbance. Like I said for my other Thanksgiving box, I was really hoping for sheet masks! Between the 2 boxes I got 6 masks! Soooo exciting!! 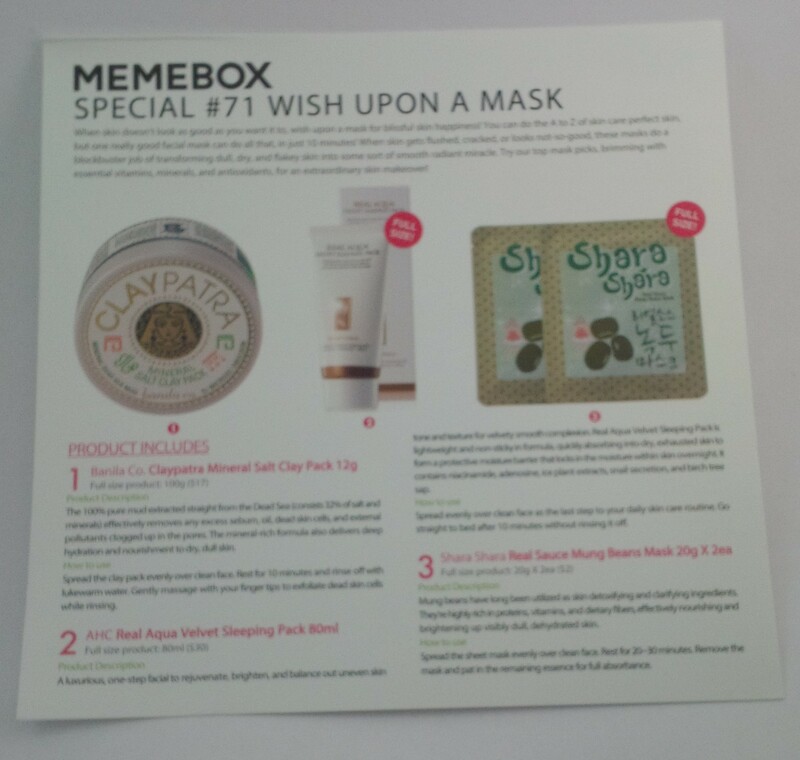 I have seen a lot of Pure Smile masks while reading about/watching Memebox unboxings so I was happy to have my own. 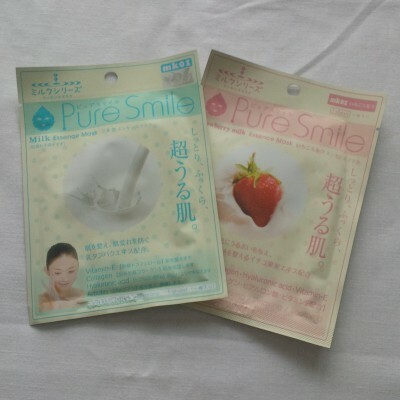 These masks came in Milk and Strawberry Milk. I tried the Milk one the other night (my very first sheet mask) and my skin felt wonderful afterwards! Now I wish I had even more than 6 masks. I am absolutely thrilled with these two boxes. 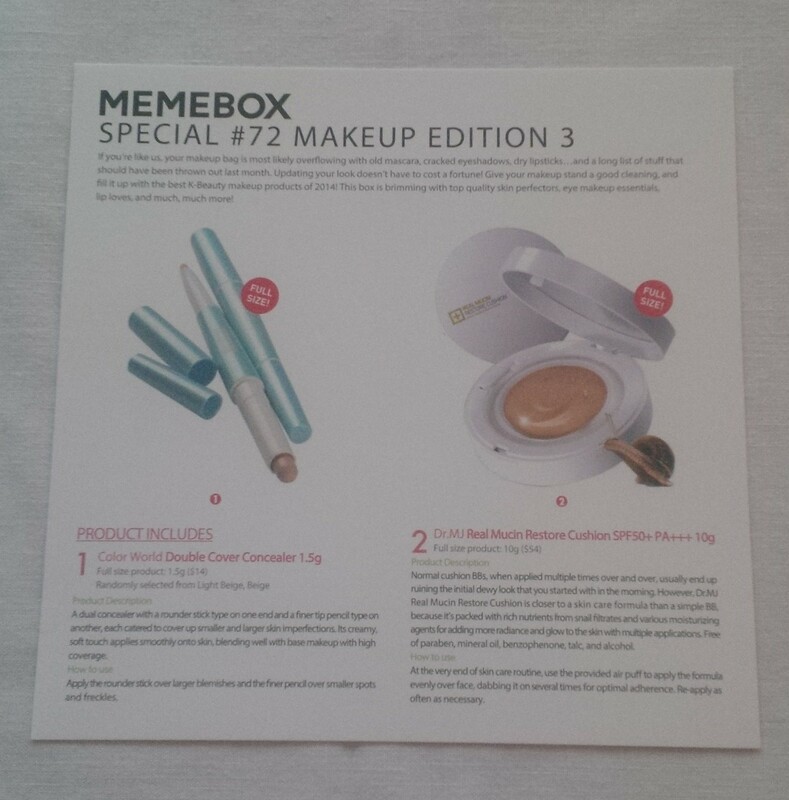 For this box, I paid about $24.50 (including shipping) and the retail value of this box was $142 and even though I know Memebox values are a bit inflated, I don’t care. This is my best box yet and I hope that they can keep it up like this because I will definitely keep buying them if they can! 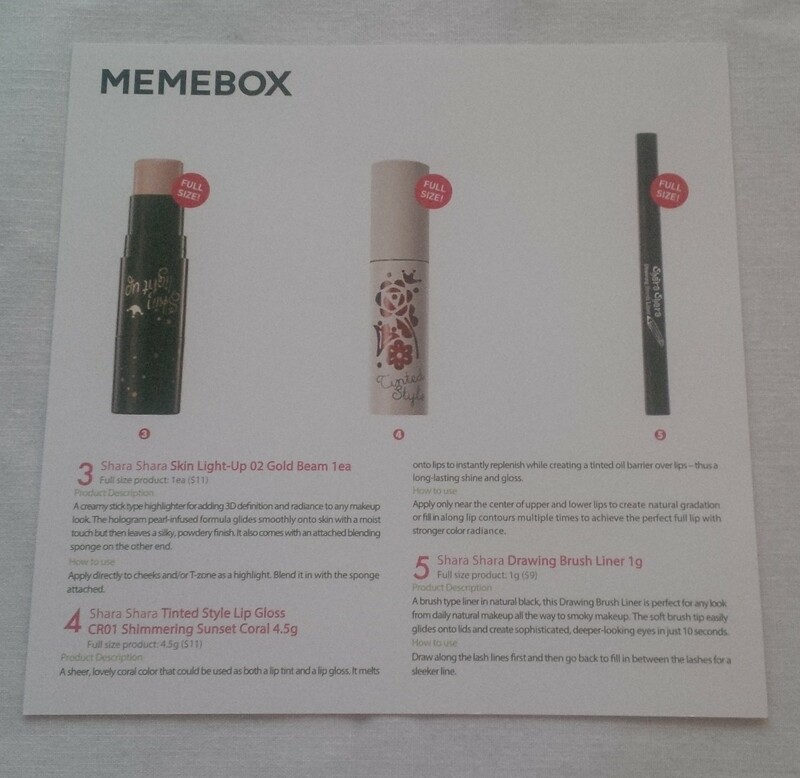 If you would like to make any purchases from Memebox, feel free to use my affiliate link or codes below to do so! These codes are valid until November 29 2014.